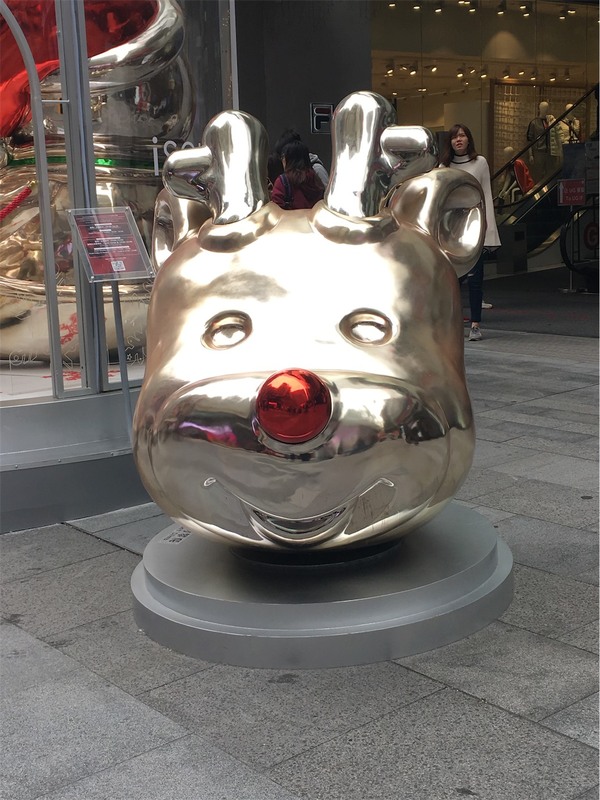 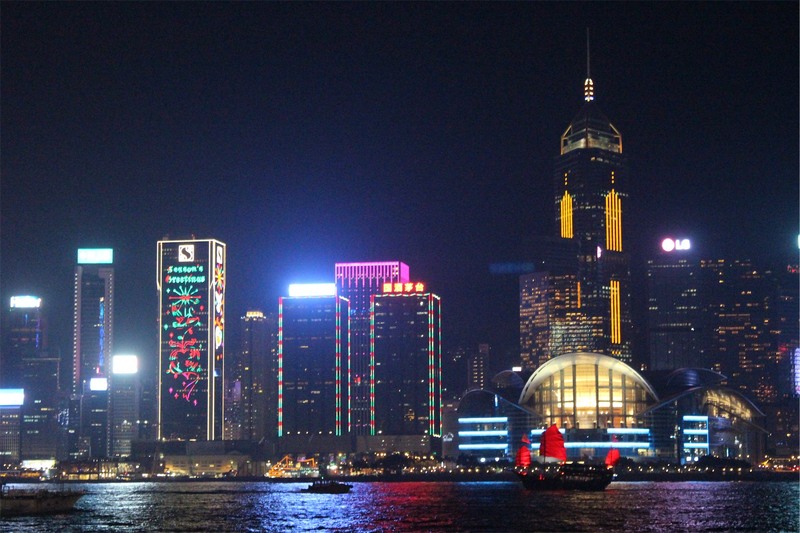 Christmas is a wonderful time to visit Hong Kong. 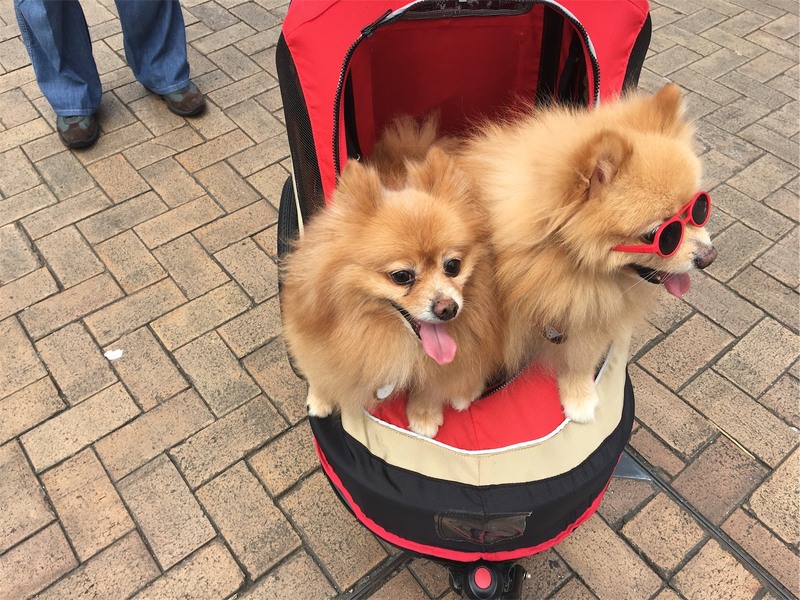 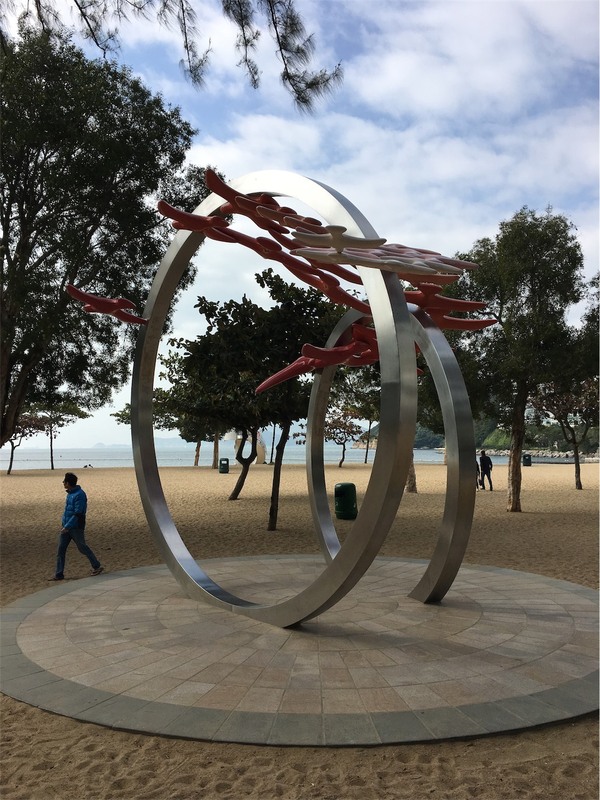 There is so much to see and do and most of it is free, easy to get to via public transport and great with or without the kids! 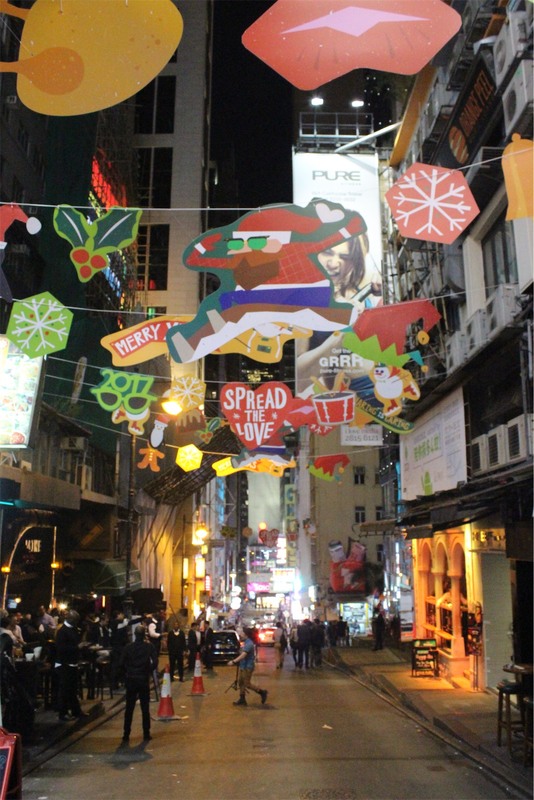 Most of the streets, malls and major hotels have fantastic decorations as can be seen below. 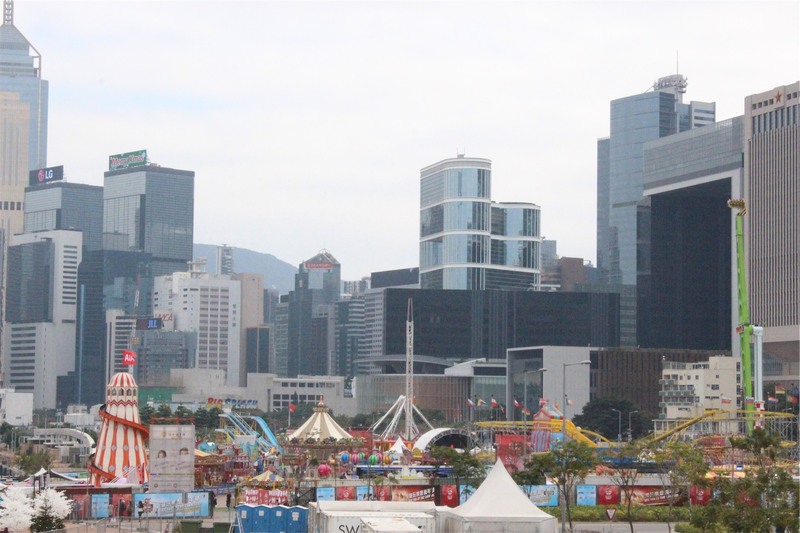 The European Carnival is held on the Central Harbour-front on Hong Kong Island. 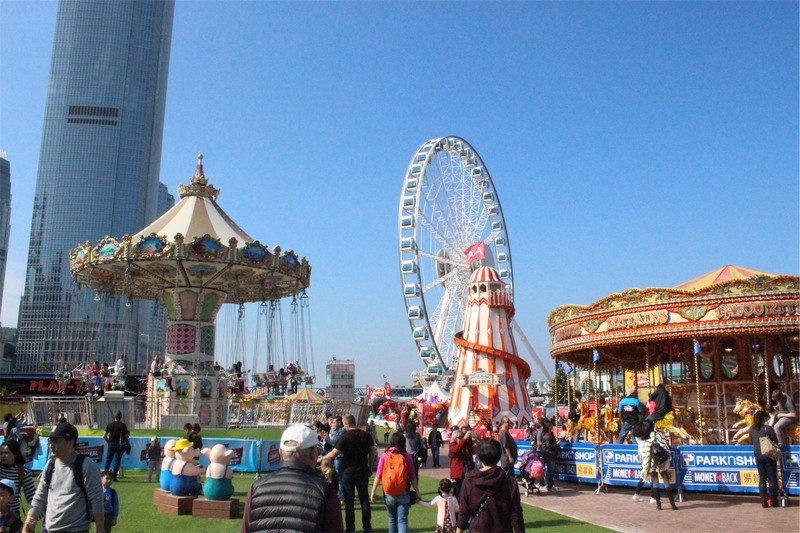 It’s packed with rides, carnival games and loads of different food. 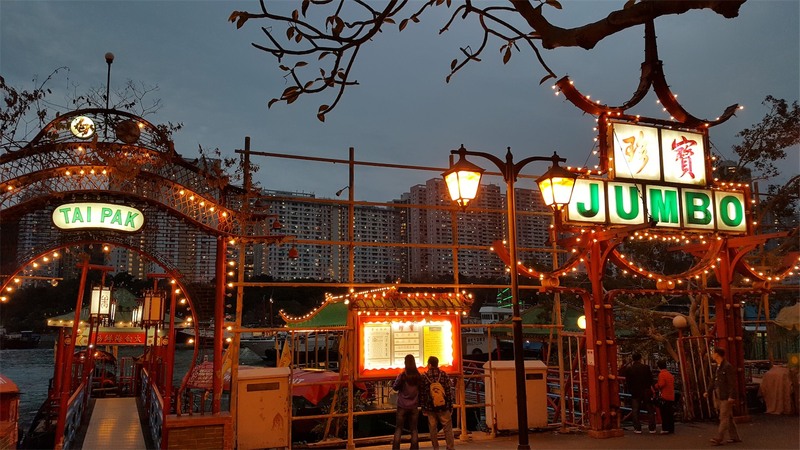 It’s located right next to the Observation Wheel which is a great way to view both the carnival and harbour or take some romantic selfies. 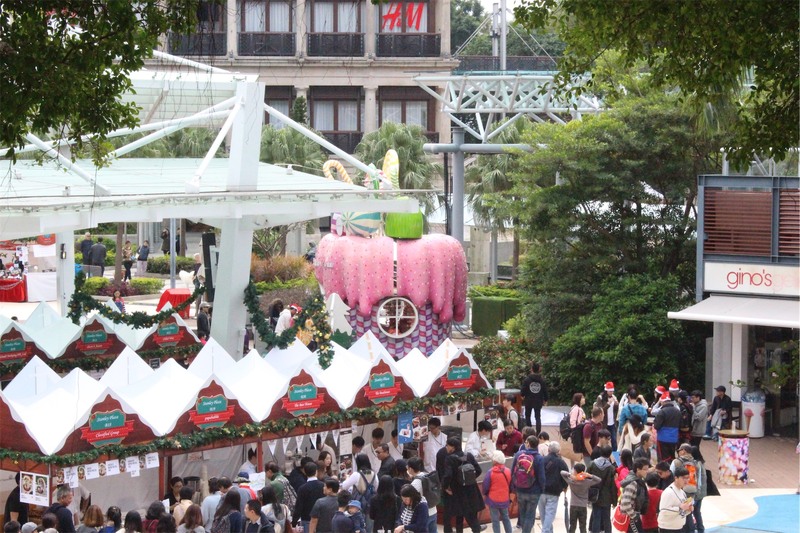 About an hour from Central and easily accessible by the bus, Stanley plaza is transformed at Christmas time inspired by traditional German Christmas markets. 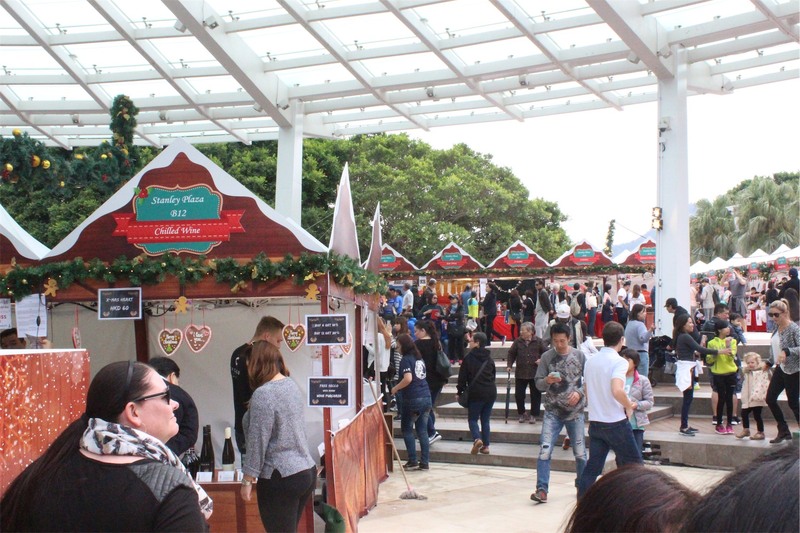 There are authentic German snacks, a life-sized candy house, mulled wine and lots of unique market stalls. 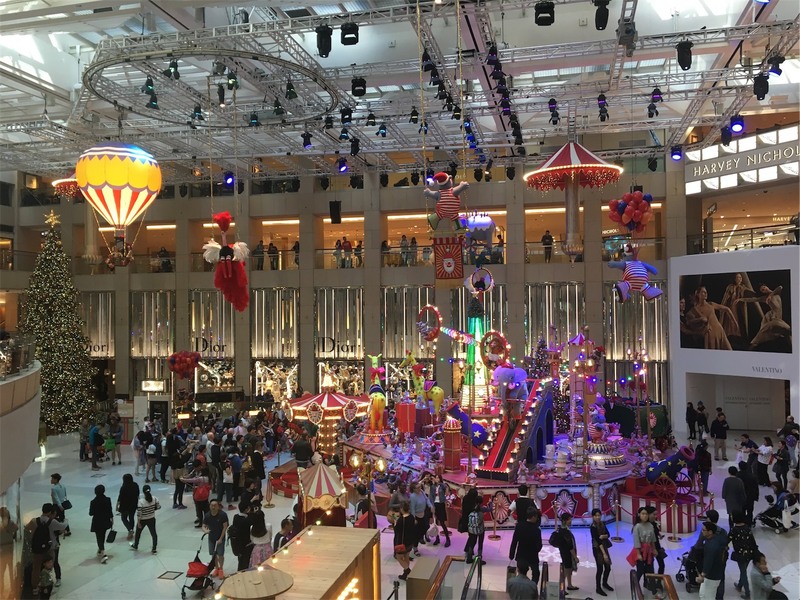 The Landmark is a huge multi level shopping centre and at Christmas it hosts the Landmark Christmas Circus. 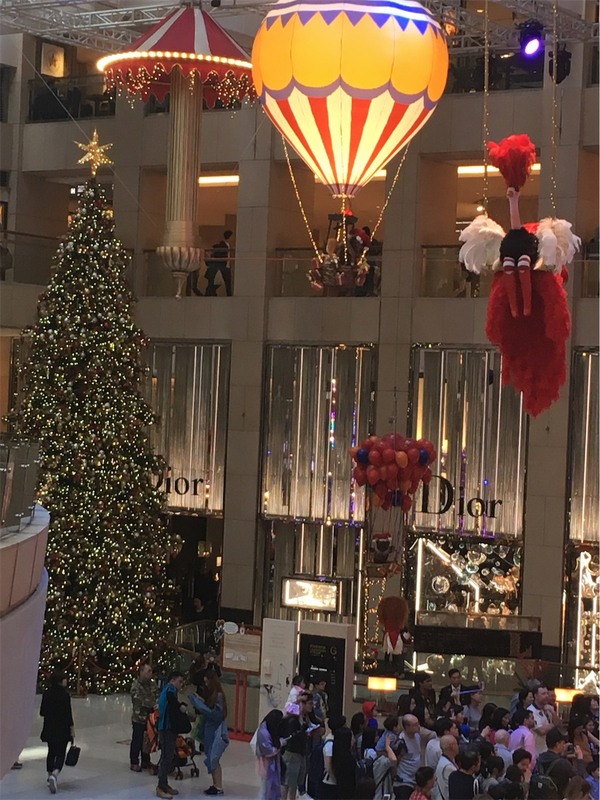 An elaborate puppet show that comes to life every half an hour it’s very popular so best to avoid around lunch time if possible. 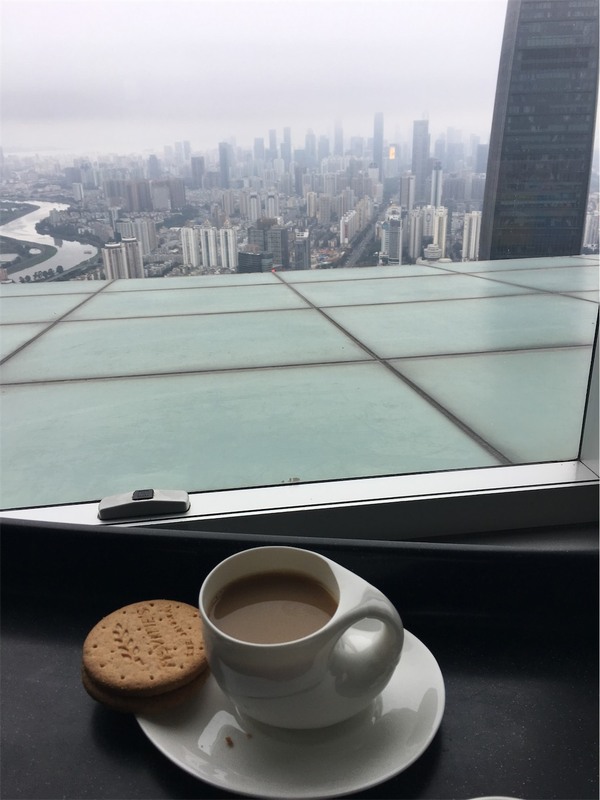 Each level of the centre provides a different view of the ‘circus’ and many have a cafe with a good vantage point. 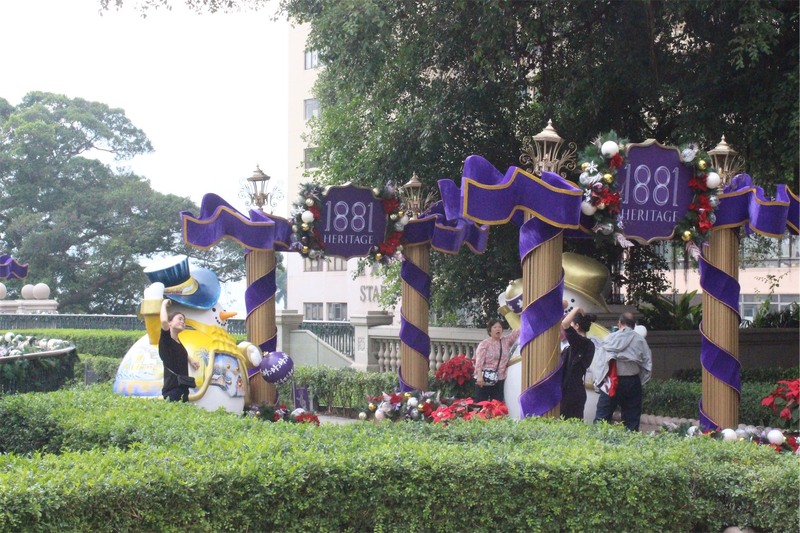 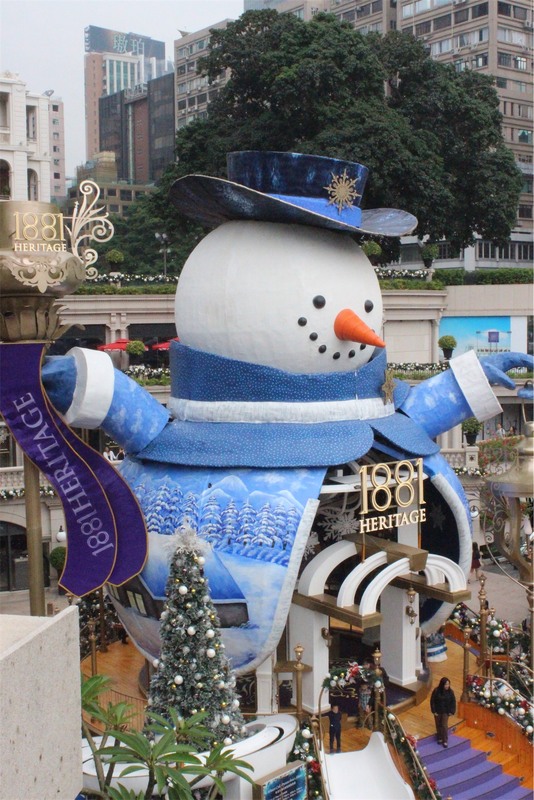 Located on the Kowloon side of Hong Kong are the Hullet House Christmas Markets at 1881 Heritage. 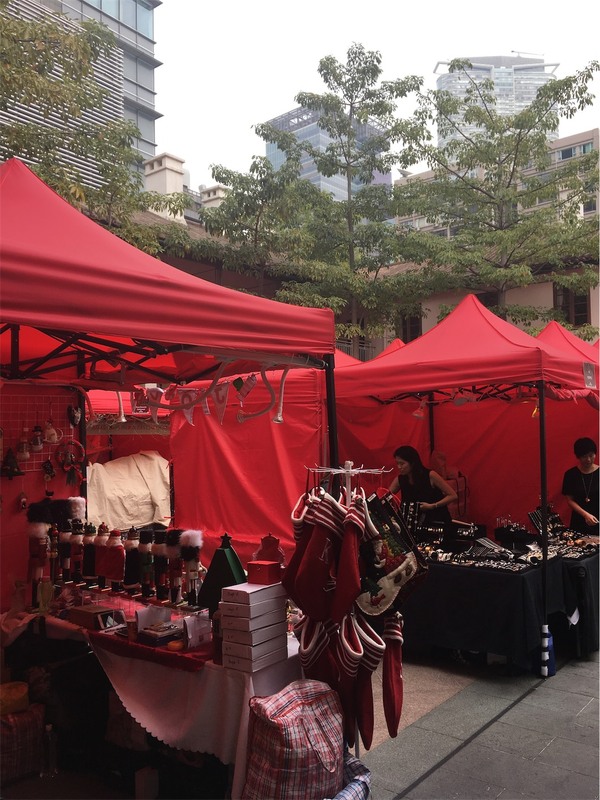 Whilst traditionally the markets are only on for three days, the decorations are around for a lot longer and definitely a highlight. 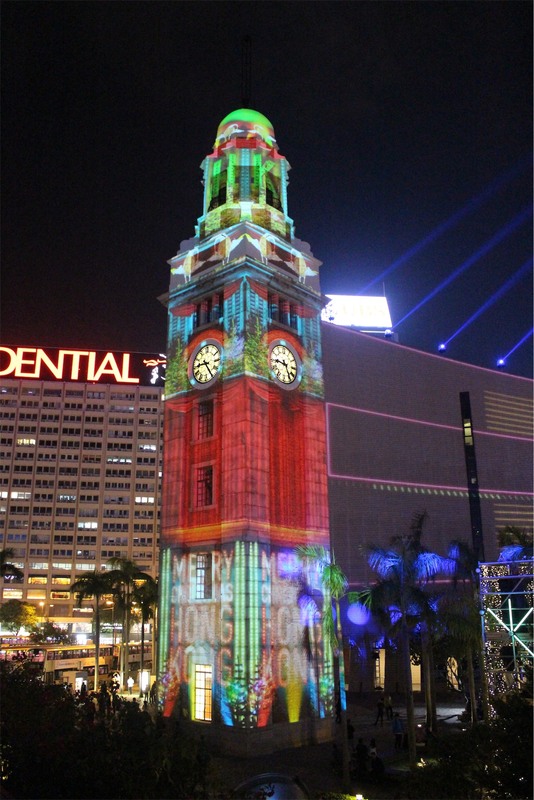 The Pulse Light Show is a 3D audiovisual light show located next to the historical Tsim Sha Tsui clock tower on the Kowloon harbourfront. 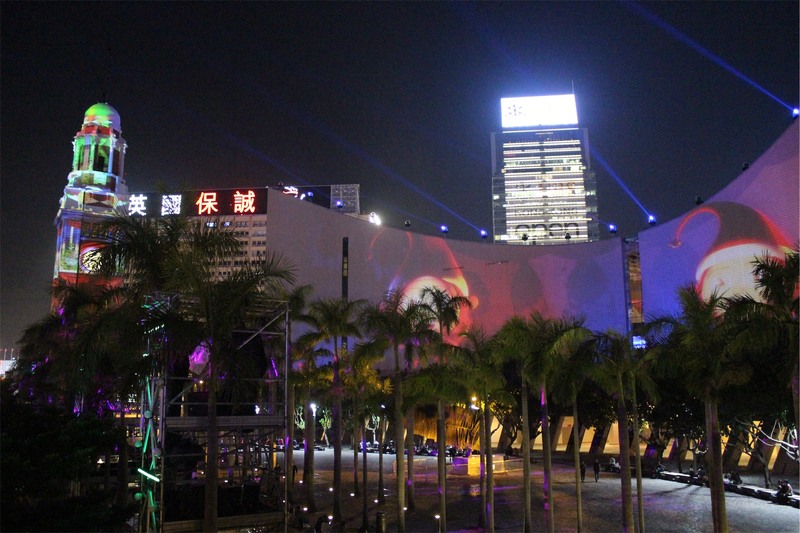 It’s free and narrated in english, cantonese and mandarin at different times throughout the night. 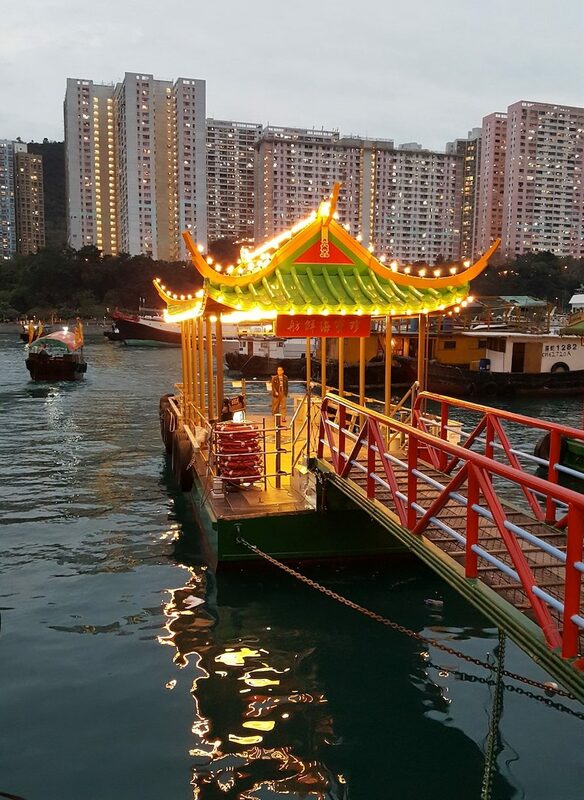 The most spectacular celebration is the Harbour itself. 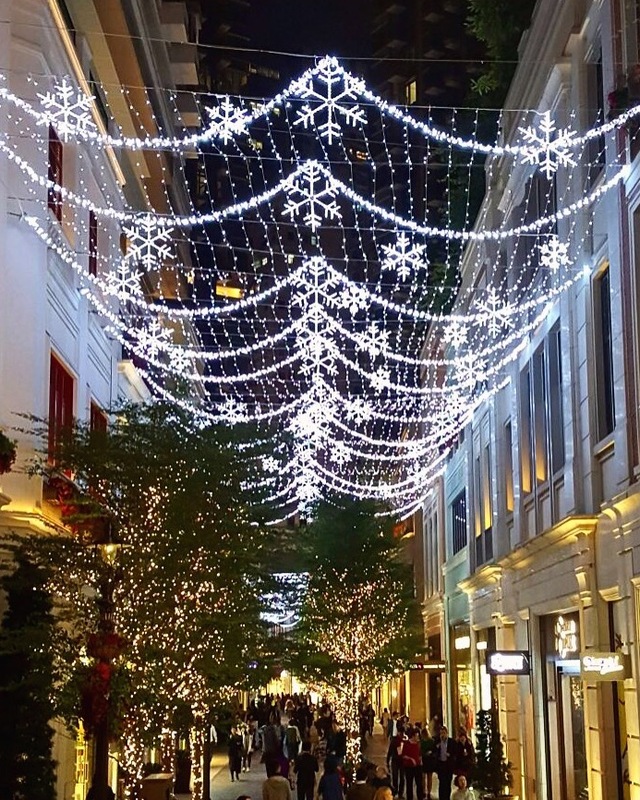 Many of the buildings by the Harbour are decorated with Christmas lights and it’s definitely not to be missed. 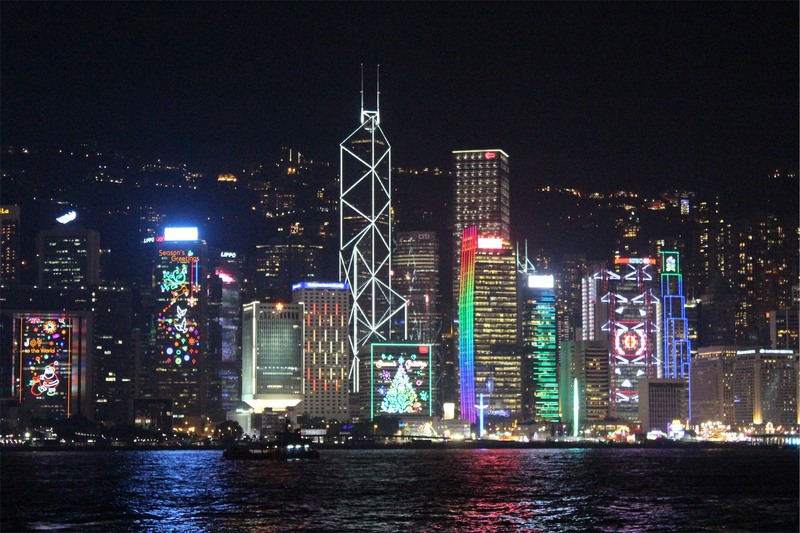 Even though views of the harbour are good at any time of the year, it’s especially impressive at Christmas. 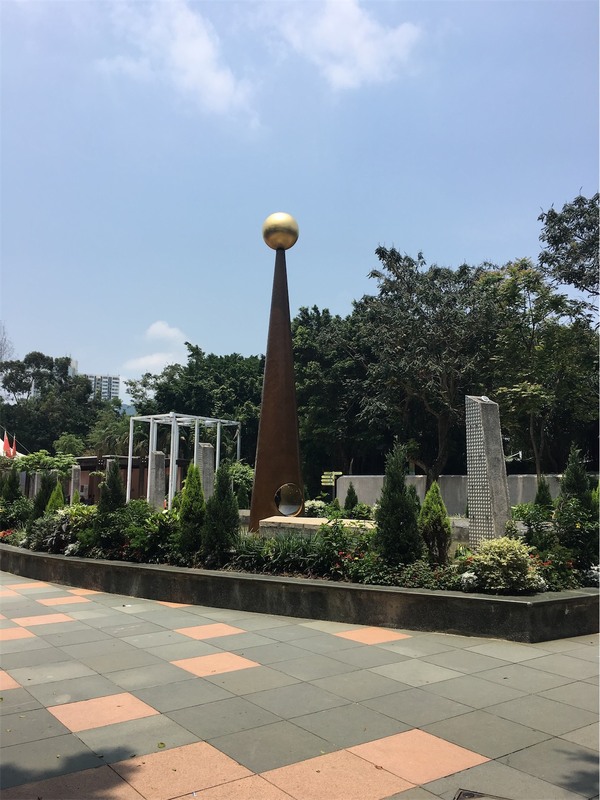 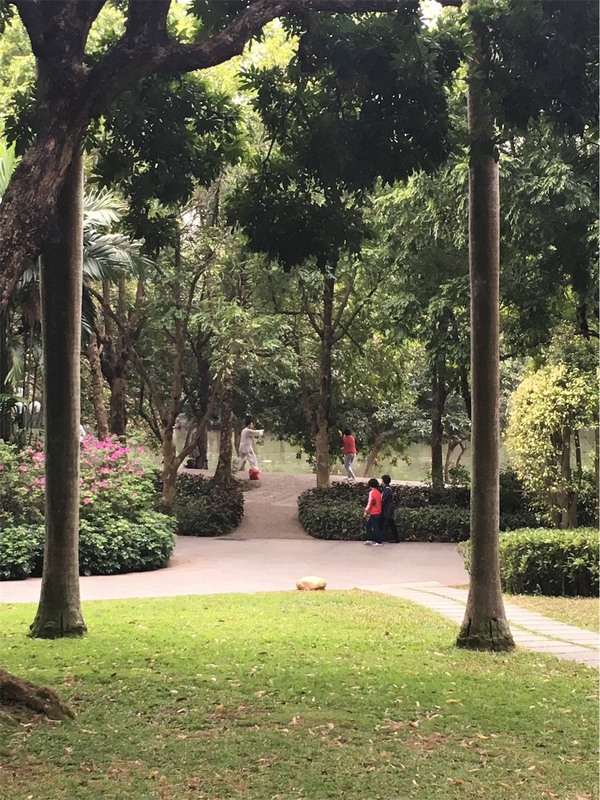 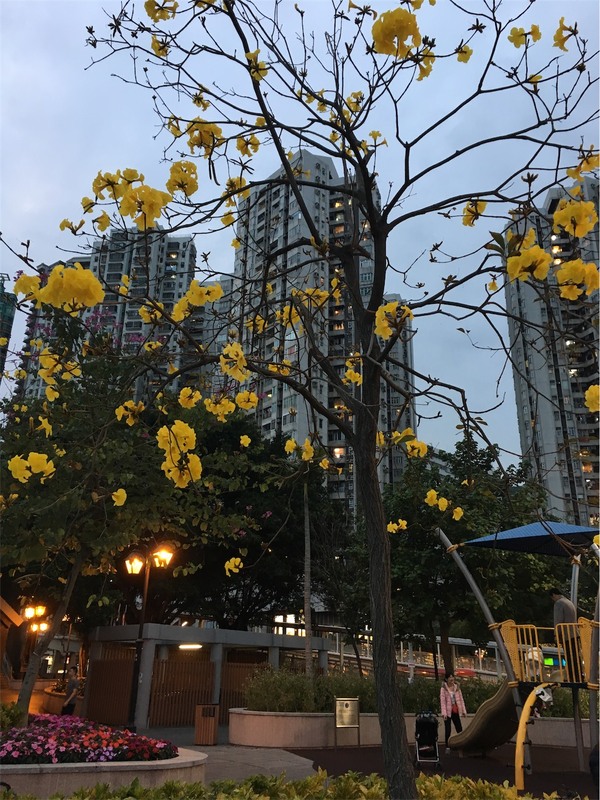 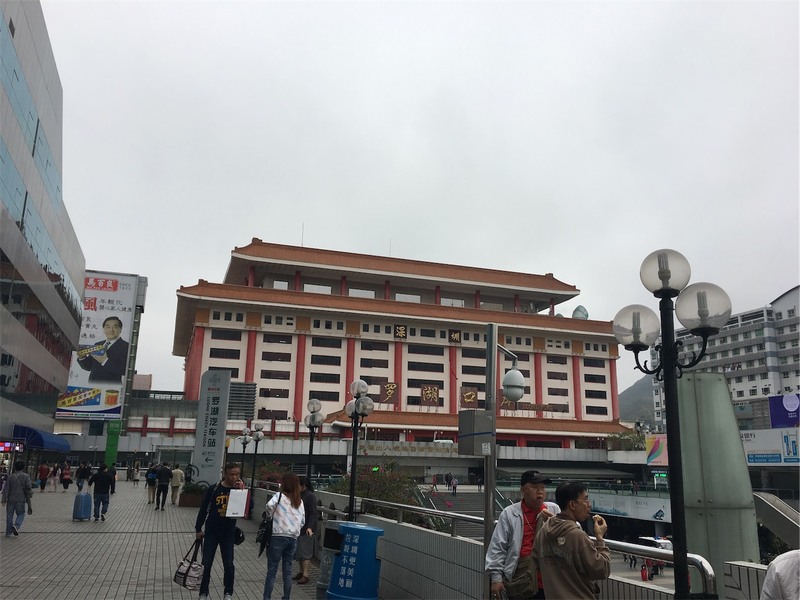 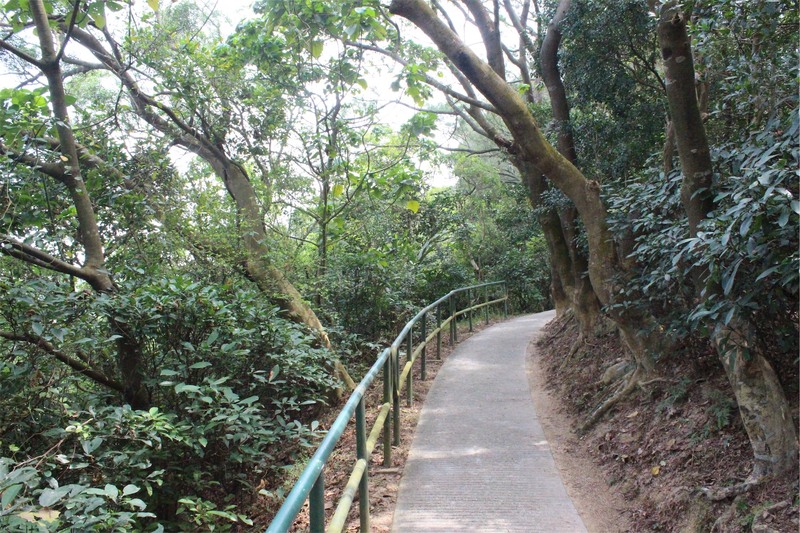 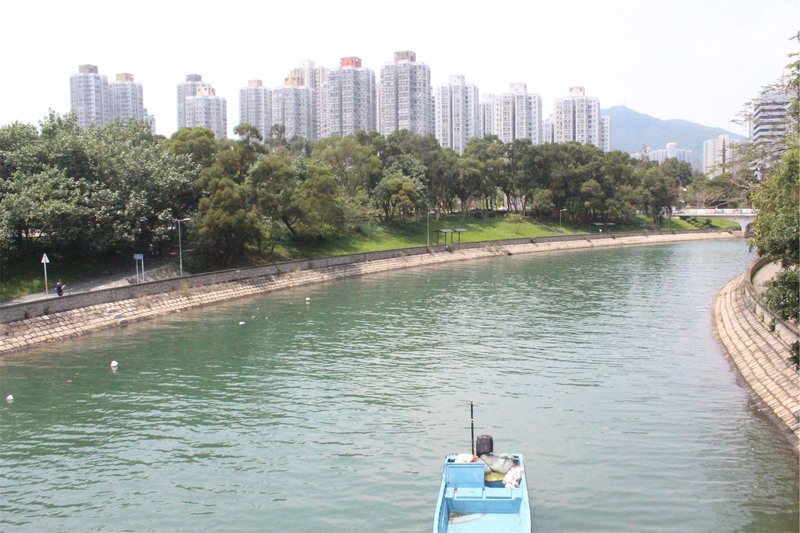 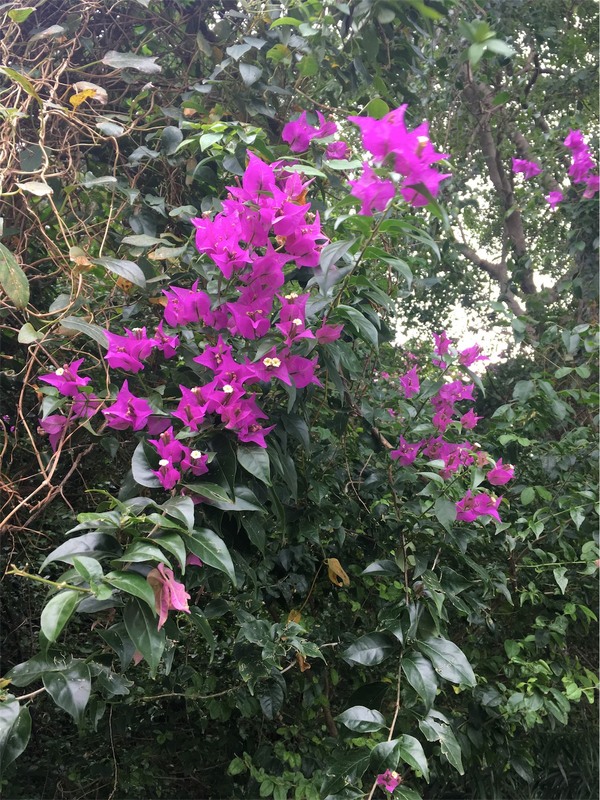 Tai Po is an area within the New Territories of Hong Kong, once a substantial forest it is now densely populated with a mixture of public housing complexes and many expensive high-end private properties in the sparsely populated area surrounding Tai Po. 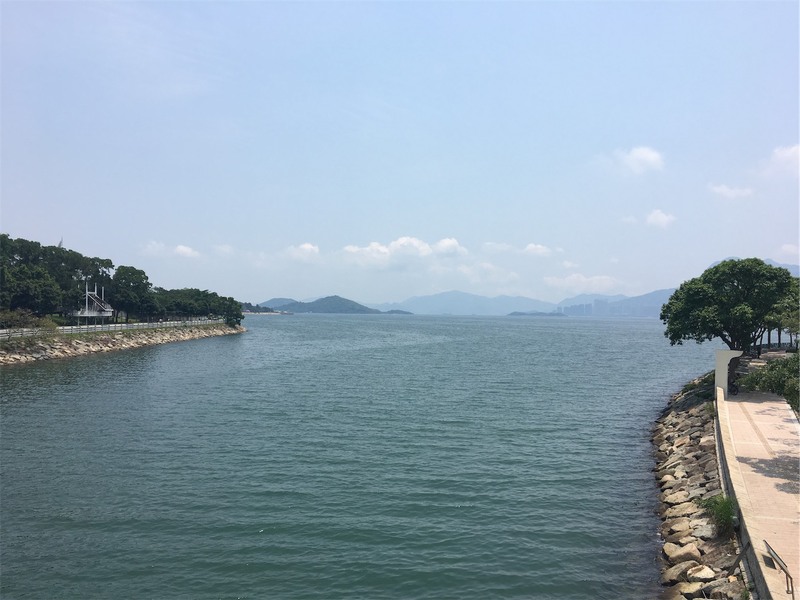 Like most areas of Hong Kong Tai Po is easily accessible via public transport, a little over an hour and 3 or 4 train line swaps on the MTR depending on your departure point. 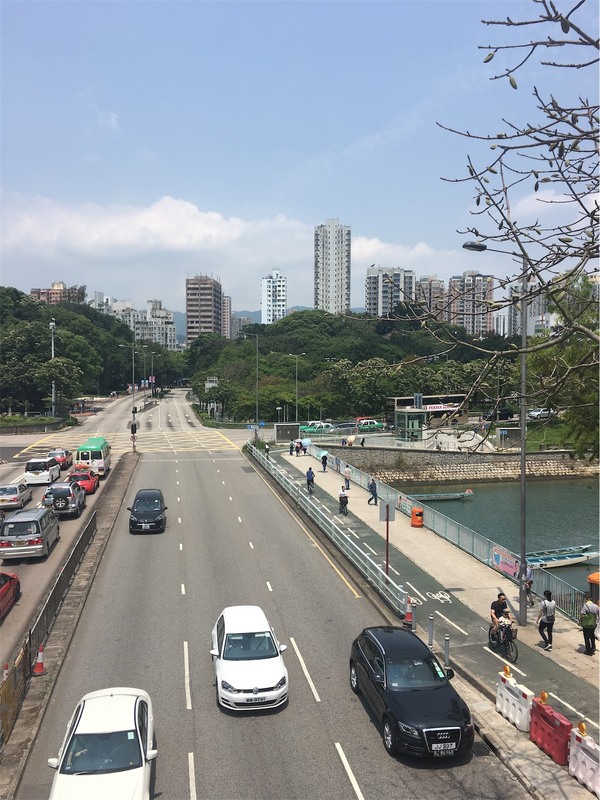 Despite being highly populated Tai Po is lucky to have a large amount of green area and subsequently is the second lowest polluted district in Hong Kong. 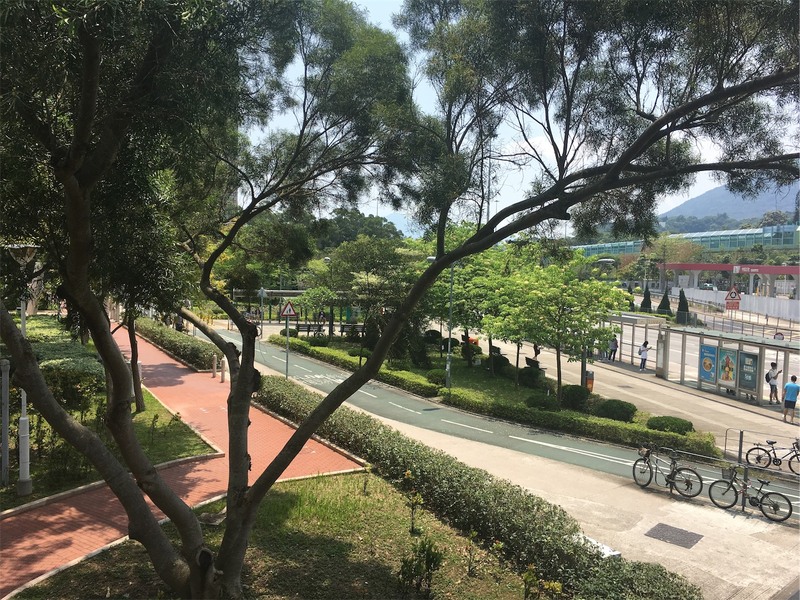 The main road did appear to have a cycling lane and we observed more bicycles in this area than usual. 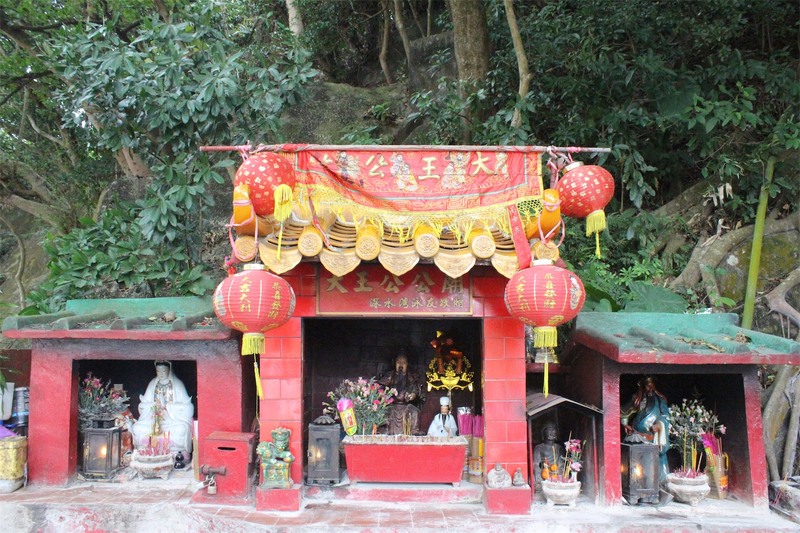 From the MTR it’s an easy walk to the Tai Wong Yeh Temple. 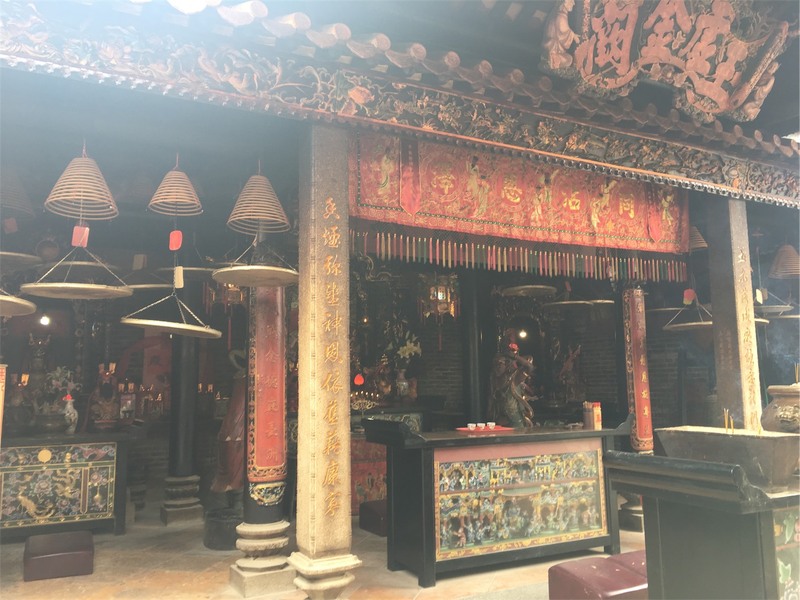 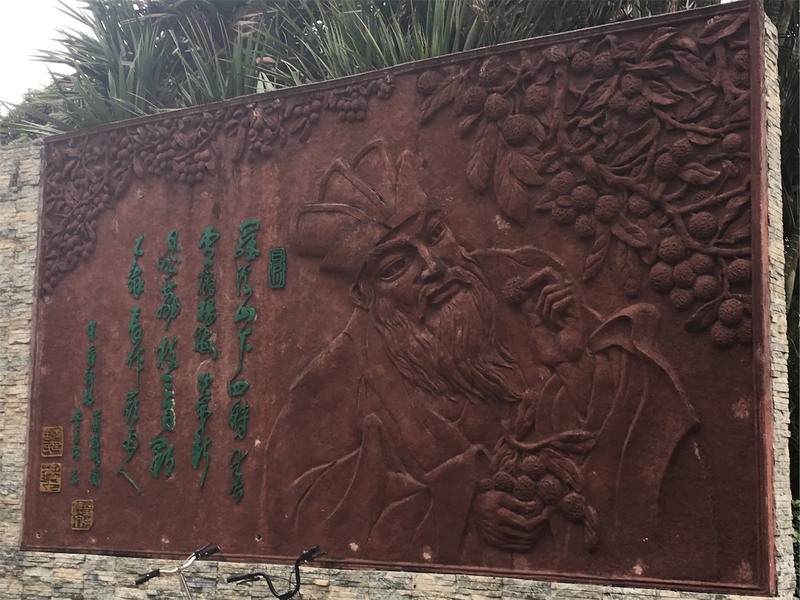 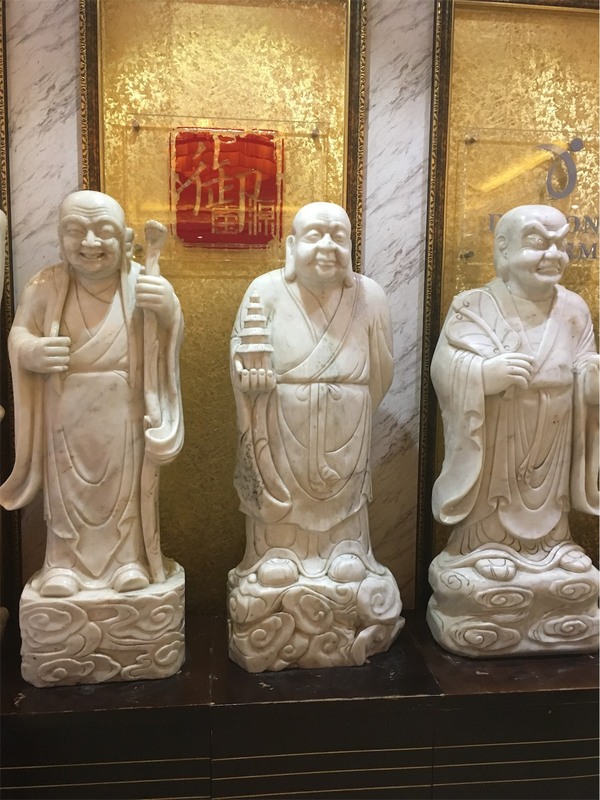 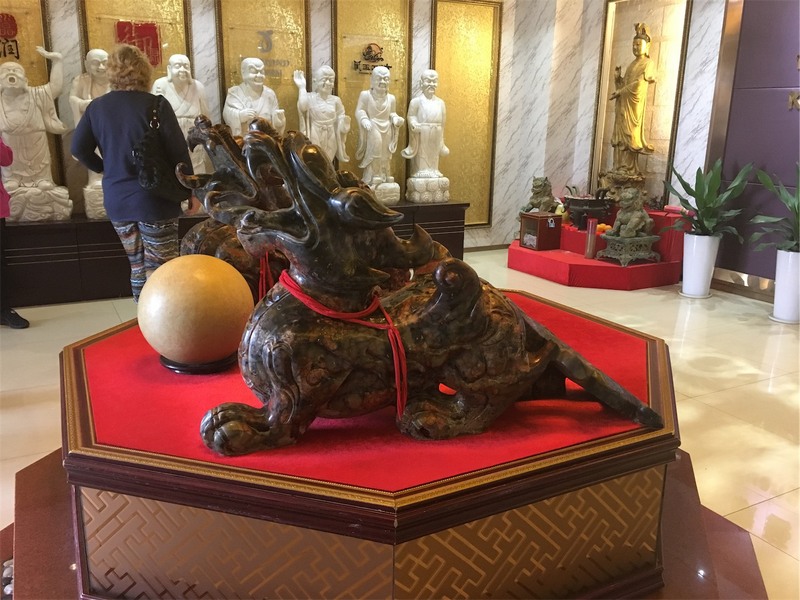 The temple was originally a stone tablet which was erected by villagers in the mid-Qing Dynasty. 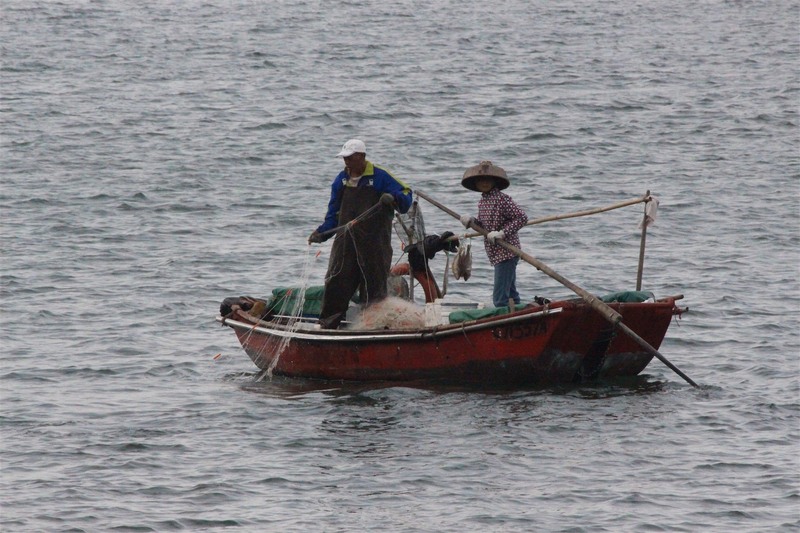 Later fishermen raised funds to build the temple for worship. 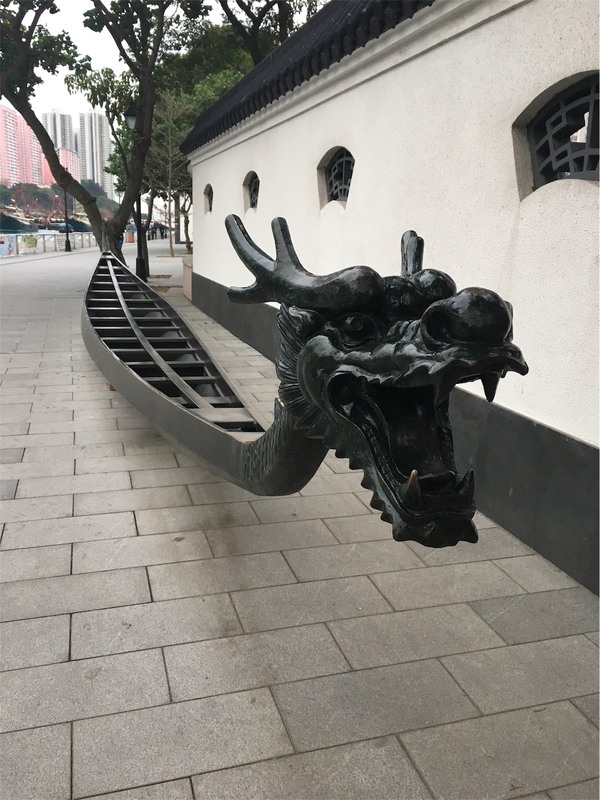 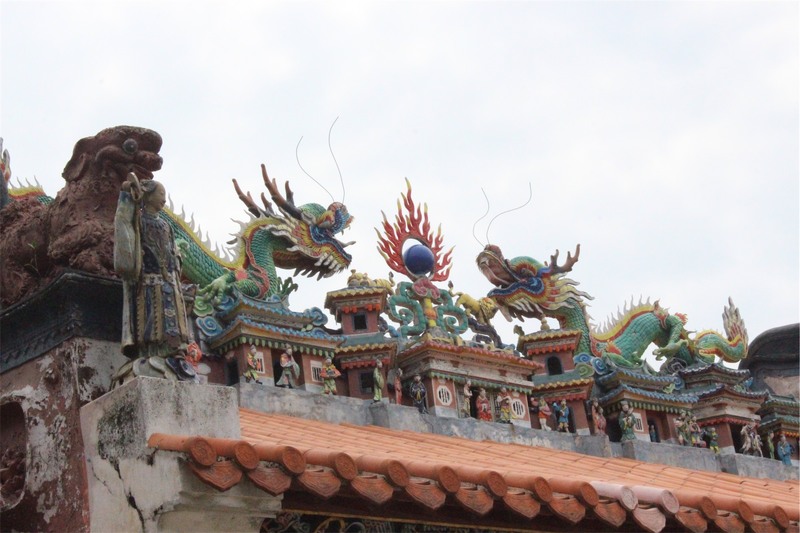 In 1960, a formal launching ceremony for dragon boats was first held at the Temple as part of the popular Dragon Boat Festival. 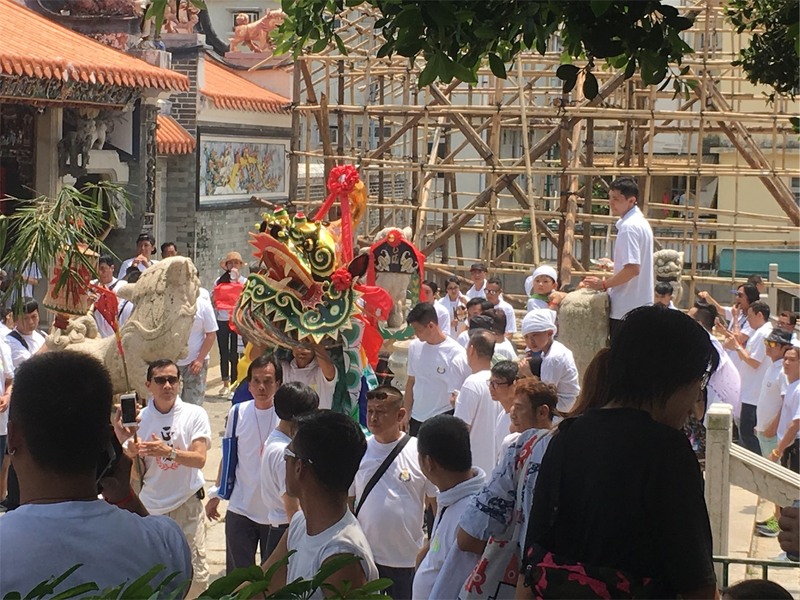 The ceremony has remained a tradition since then. 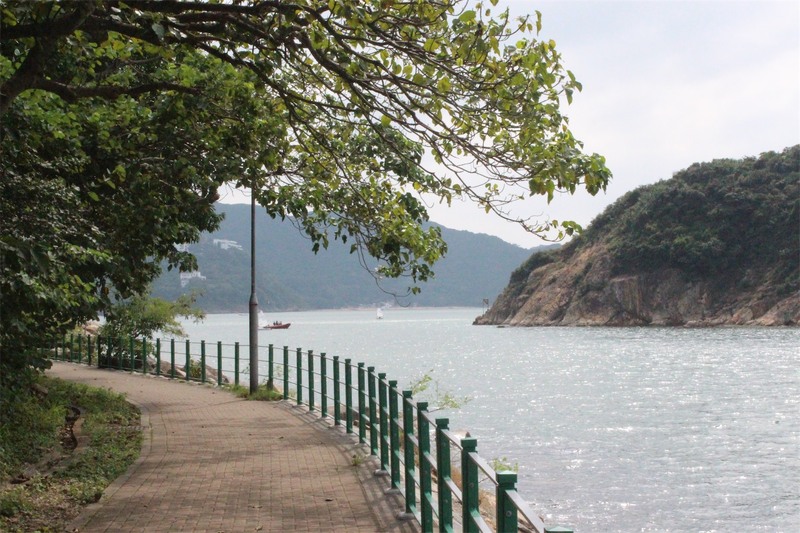 Right alongside the Temple is Tsai Park, it has stunning views across the harbour and is an incredibly beautiful, peaceful and quiet part of Tai Po. 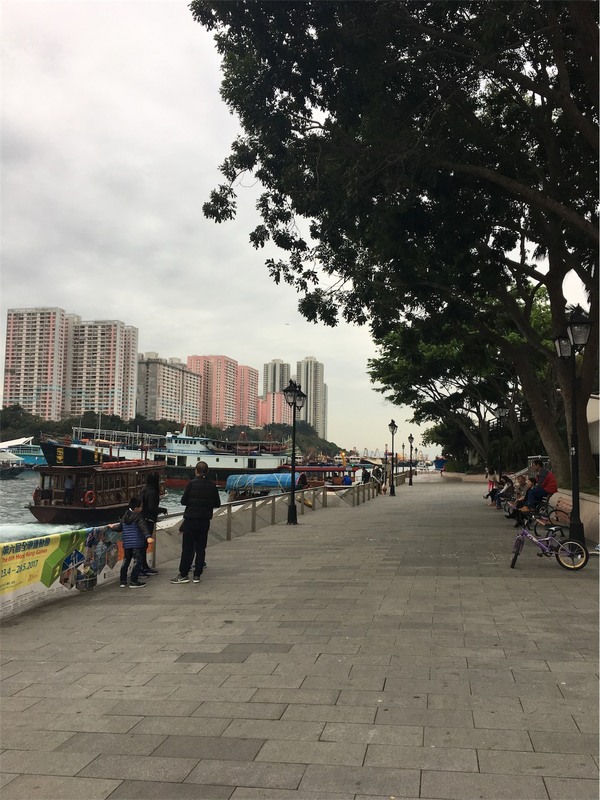 A great spot to enjoy the simplicity of sitting on one of the many benches along the harbour to soak in the view, a contrast to the usual busy, noisy streets of Hong Kong. 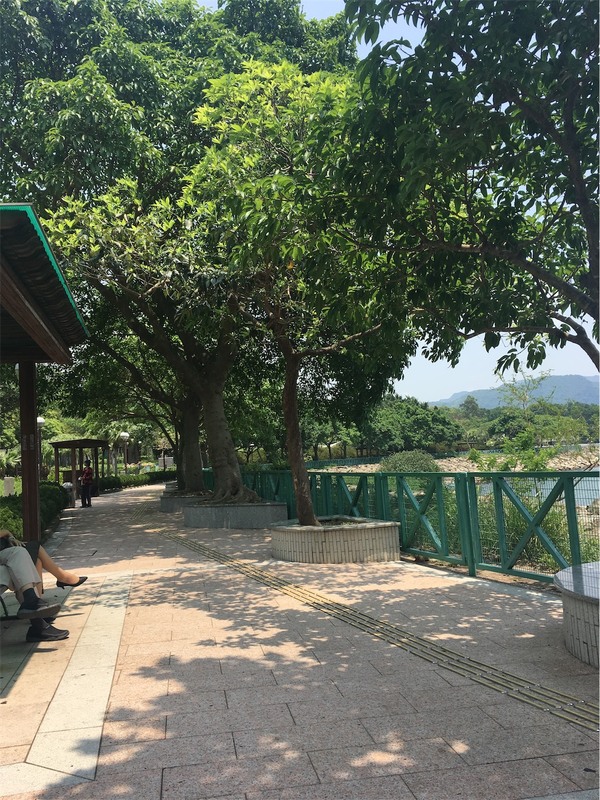 Tai Po is divided by the Lam Tsuen River, it’s a lovely walk across the Bridge on Yuen Shin Road to the Yuen Shin Park. 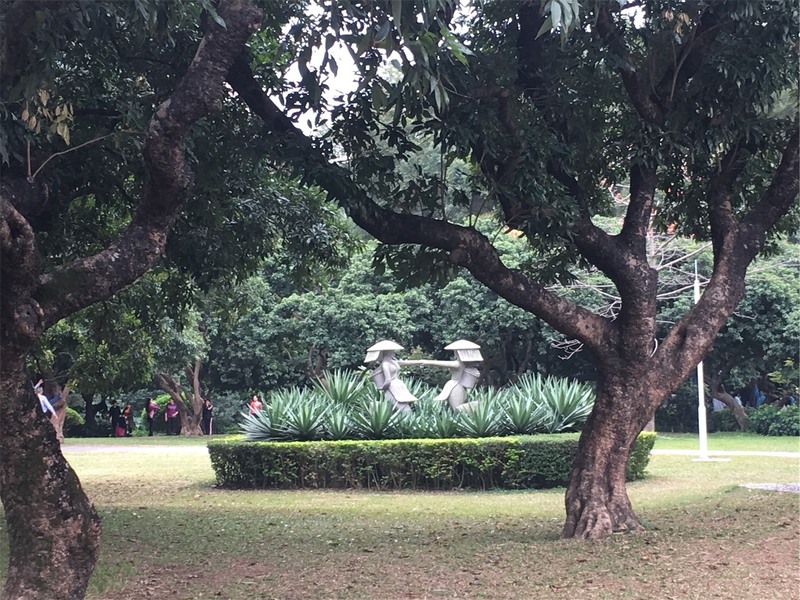 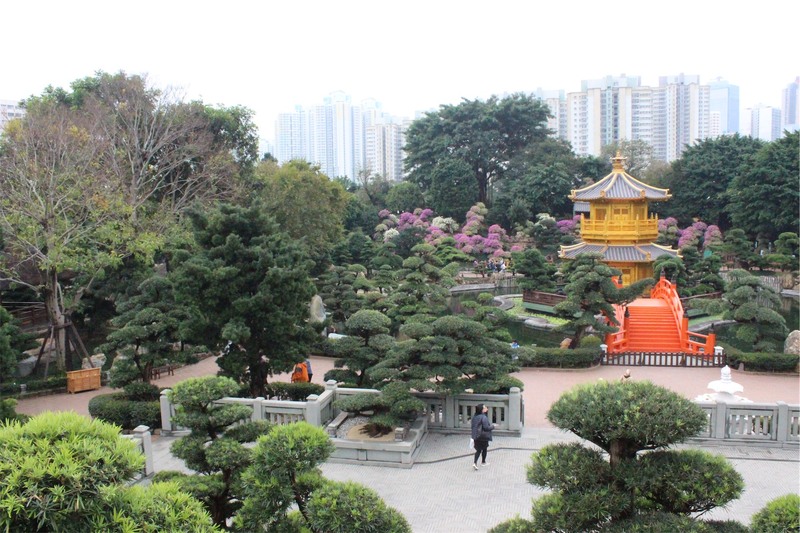 This park is huge, and is Hong Kong’s largest and arguably most beautiful public park. 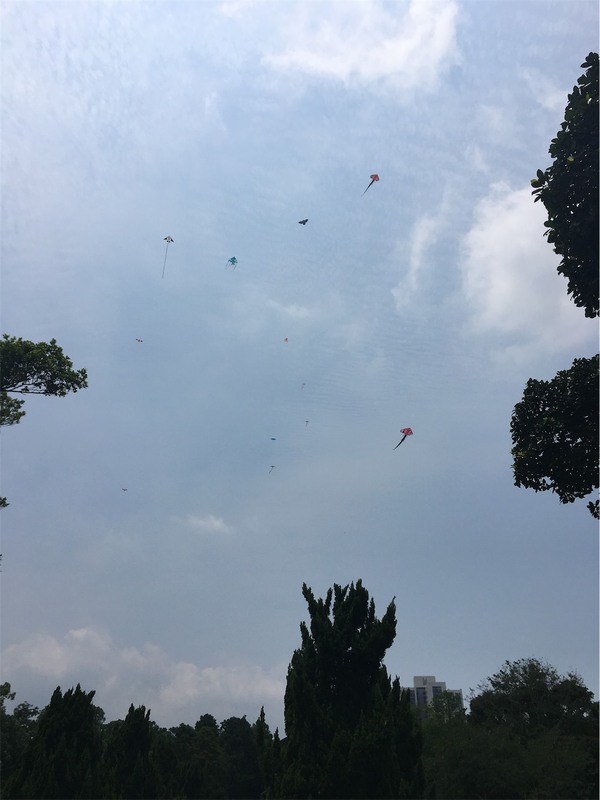 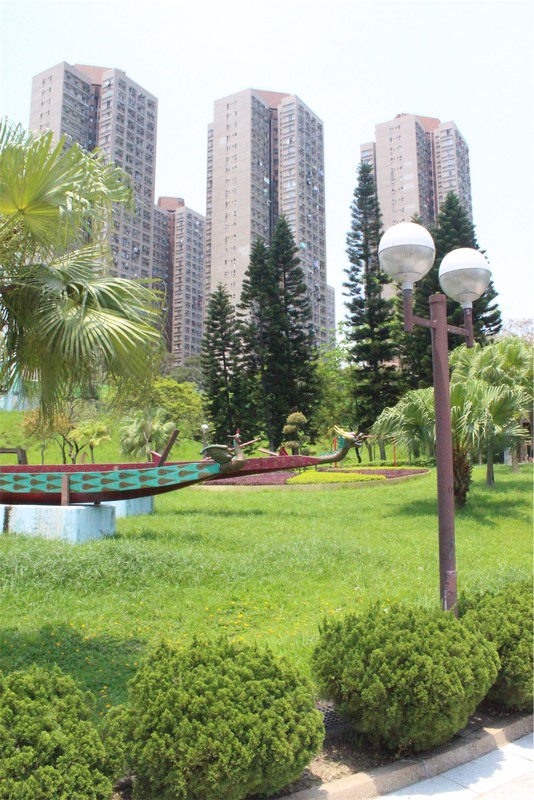 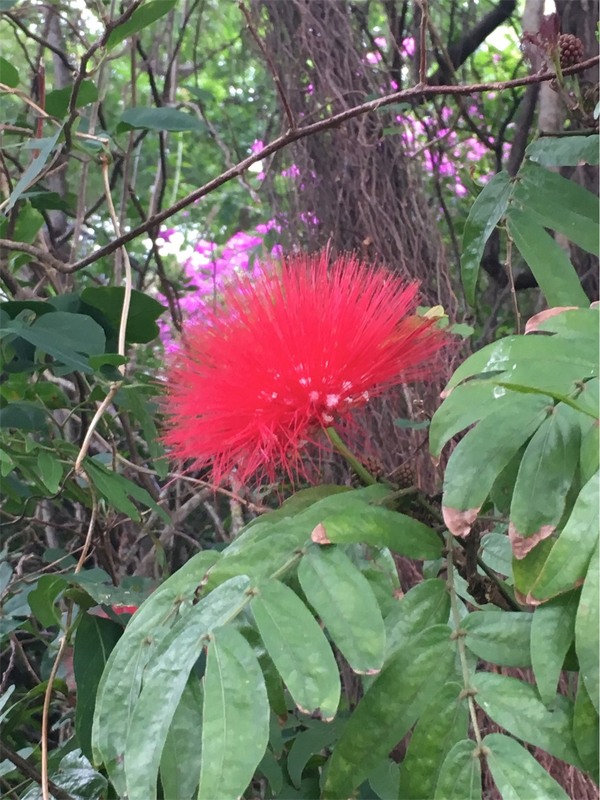 There are many tree-fringed lawns for picnics and kite-flying, an amphitheatre with white sail-canopies, a cycling track along Tolo Harbour from where you can watch dragon boat races during the Dragon Boat Festival, and an Insect House. 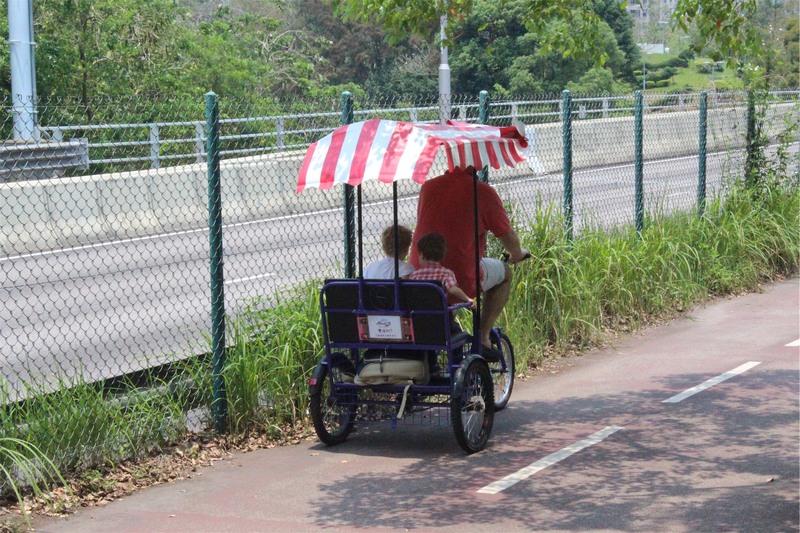 There are a number of vendors where you can hire bikes of all types. 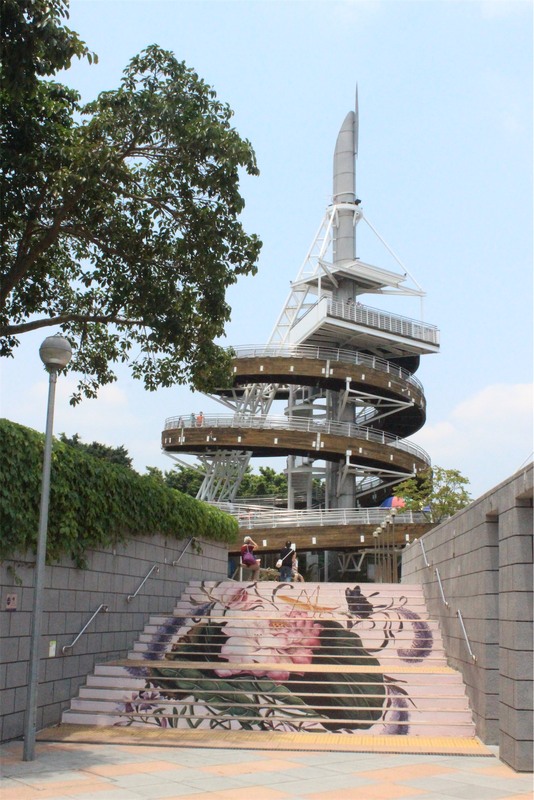 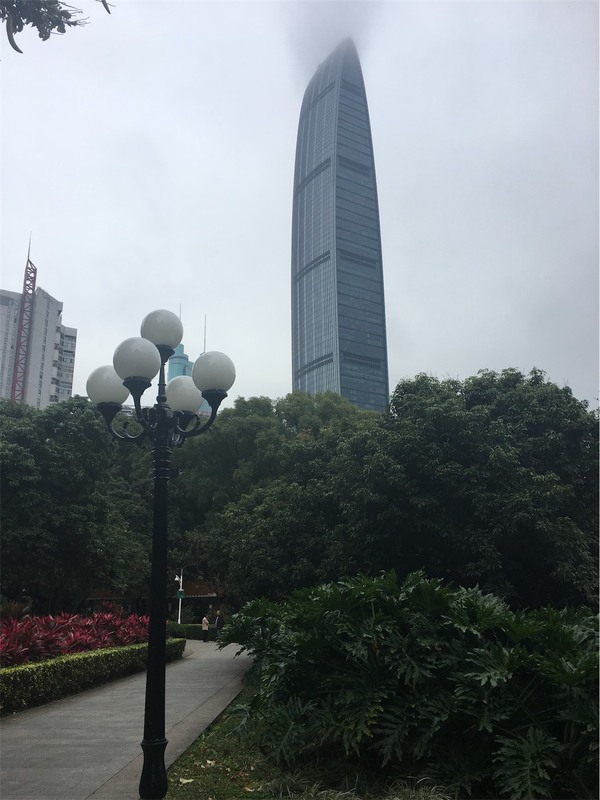 Located in the park is the Lookout Tower, a large-scale landmark established for the commemoration of the transfer of sovereignty of Hong Kong to China in 1997. 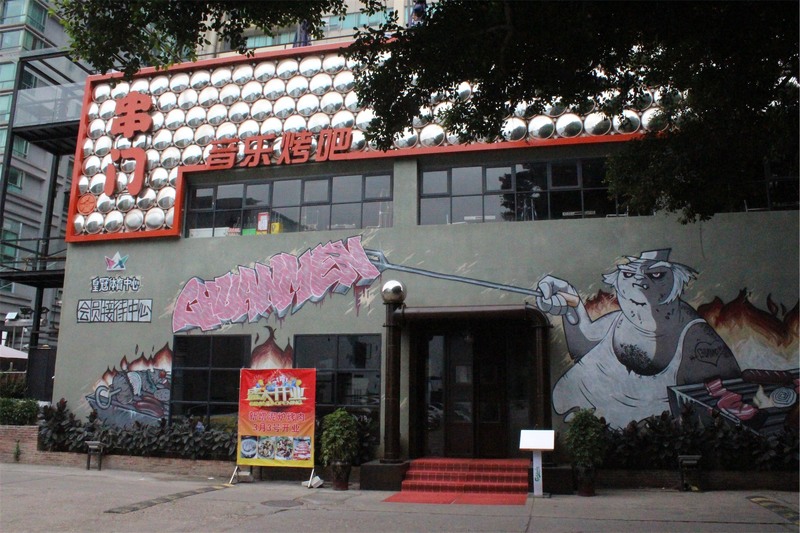 It’s important to note that during our visit the restaurant at the base of the Lookout was closed. 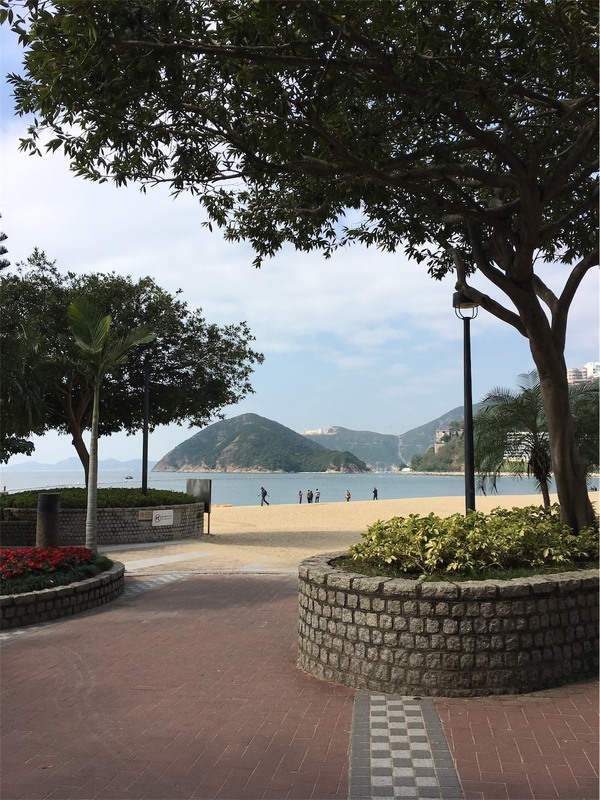 In fact strangely uncharacteristic for Hong Kong, there was nowhere in the park nor along the harbour to get a meal or beverage. 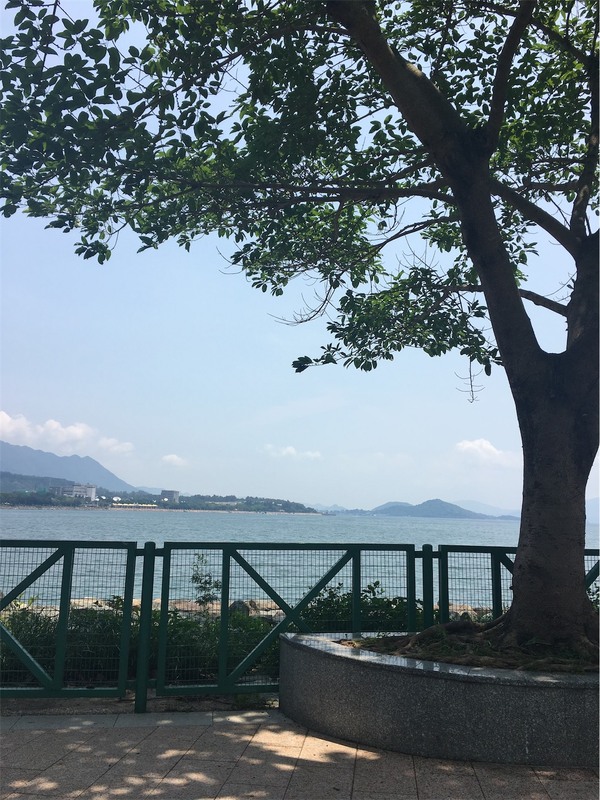 A perfect location to recharge and enjoy a picnic it’s worth the hour commute! 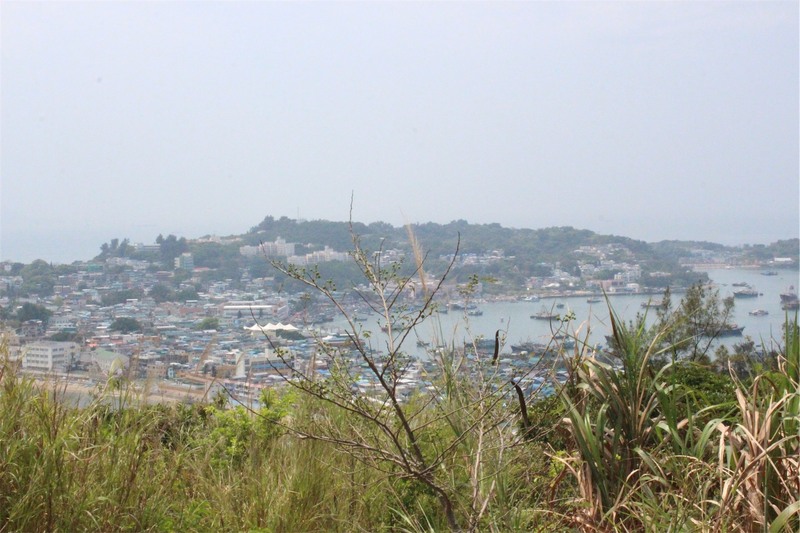 Cheung Chau is an island 10 kilometres southwest of Hong Kong Island. 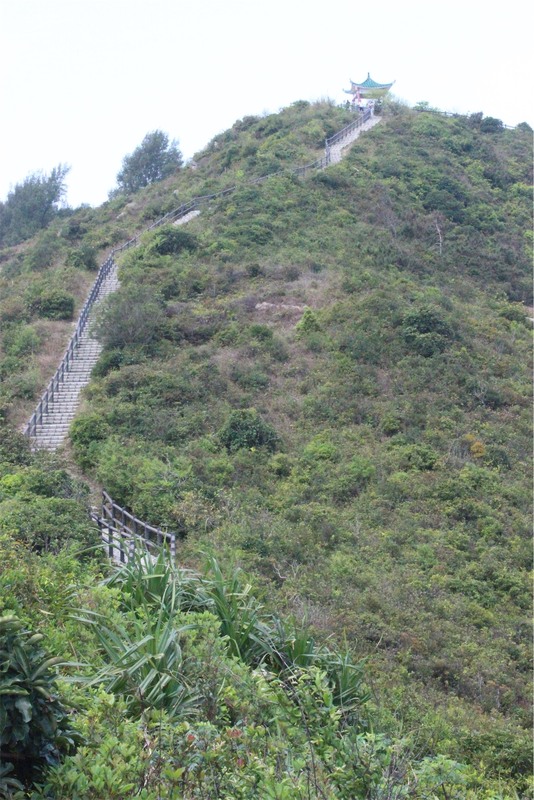 It is nicknamed the ‘dumbbell island’ due to its shape. 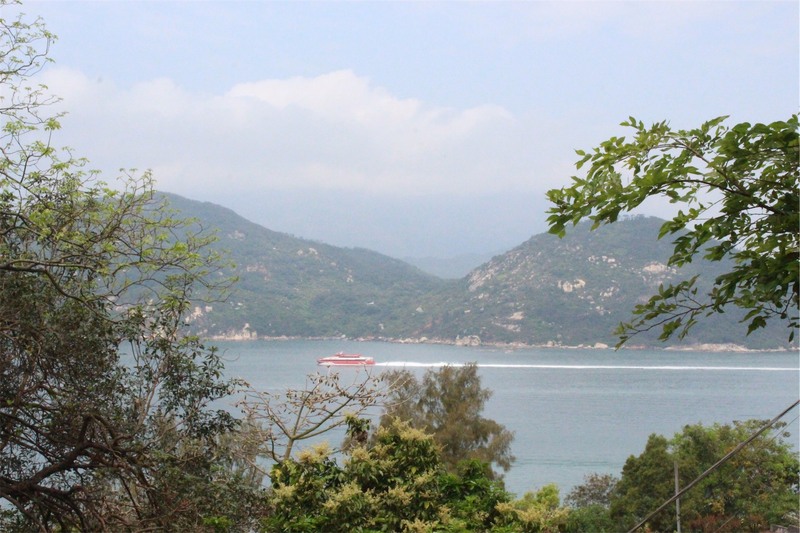 Getting to the island is easy enough via ferry (pier no 5 at Central) either via fast ferry which takes approximately 40 minutes or the slow ferry which takes an hour. 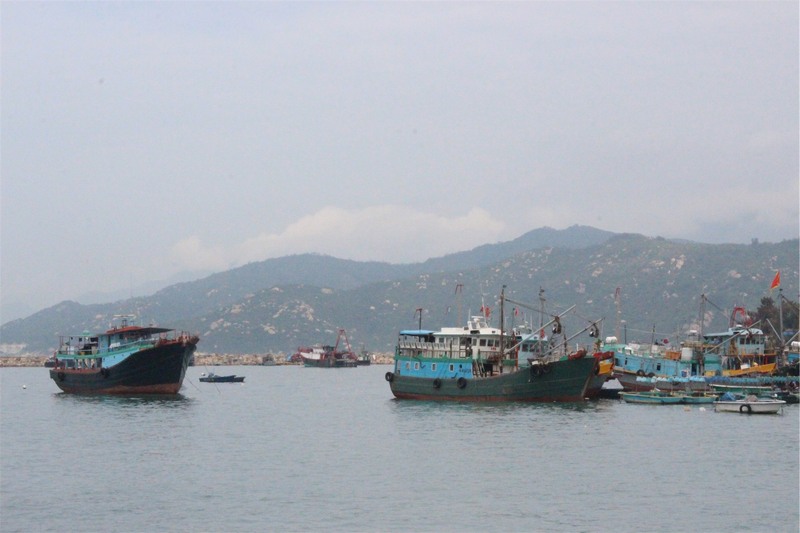 The view from the arriving ferry pier across the promenade shows a harbour full of activity with fishing vessels, trawlers, junks and sampans. 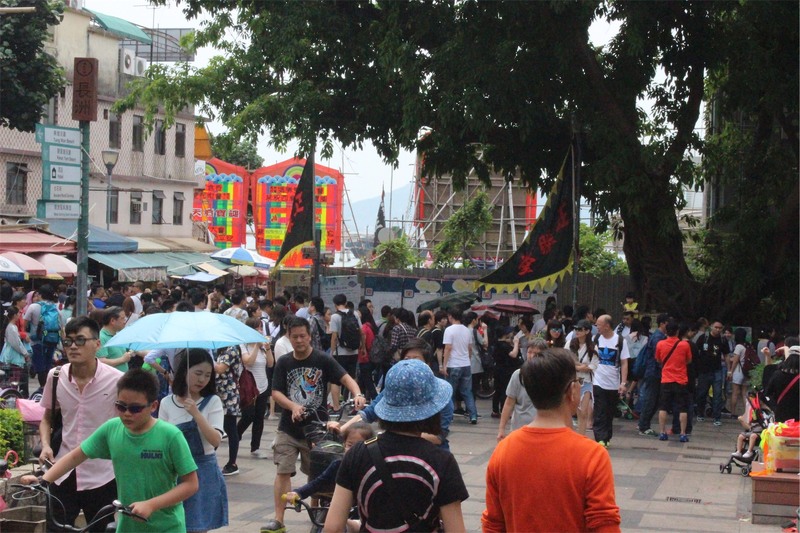 The waterfront is lined with cafes, predominately seafood restaurants and a number of souvenir shops. 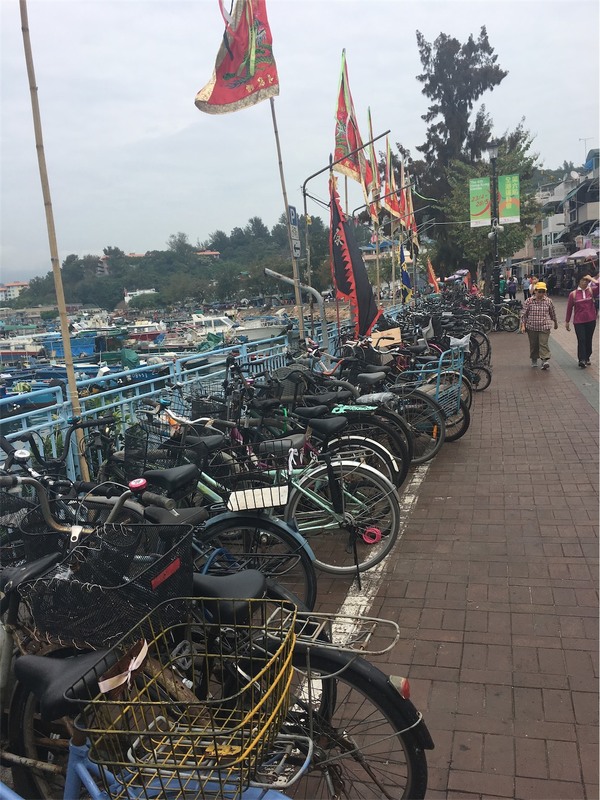 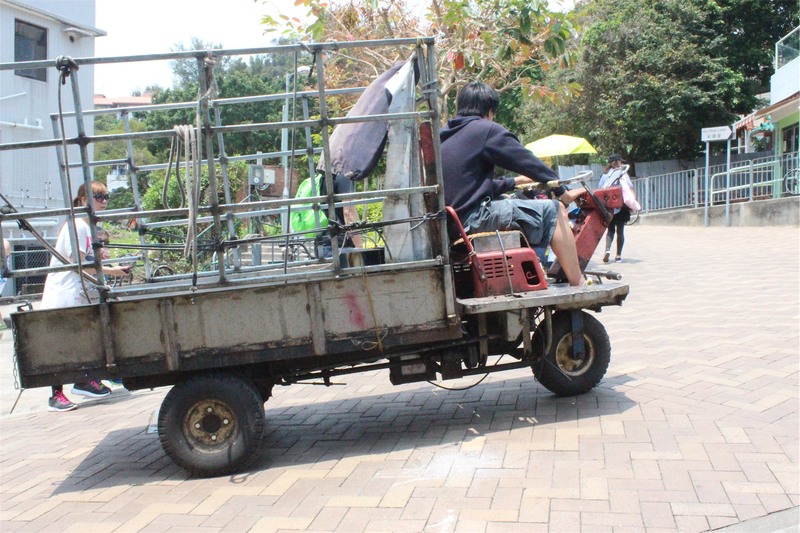 There are also a number of bikes lined up on the foreshore, this is the most common mode of transportation other than walking on the island, as motorised vehicles are not allowed – the only exception being garbage ‘trucks’. 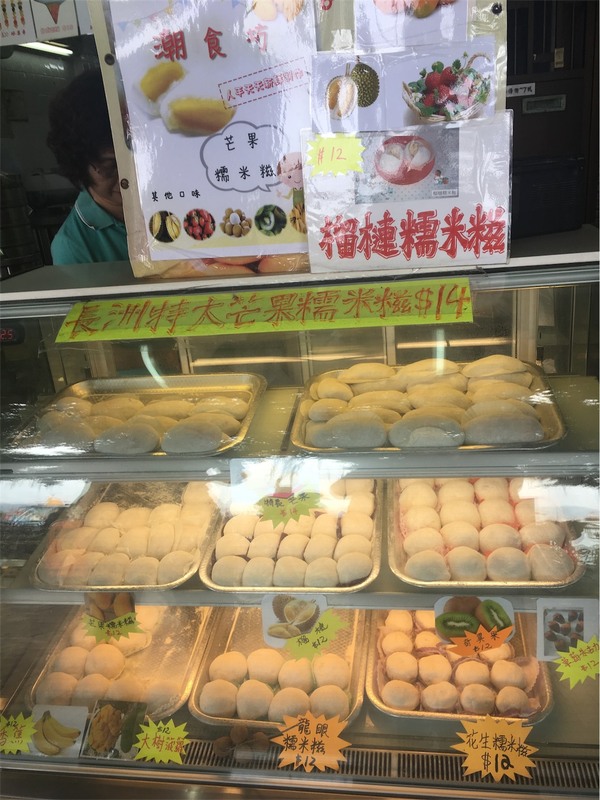 A favourite well-known local desert is the mochi – a traditional desert originating from Japan. 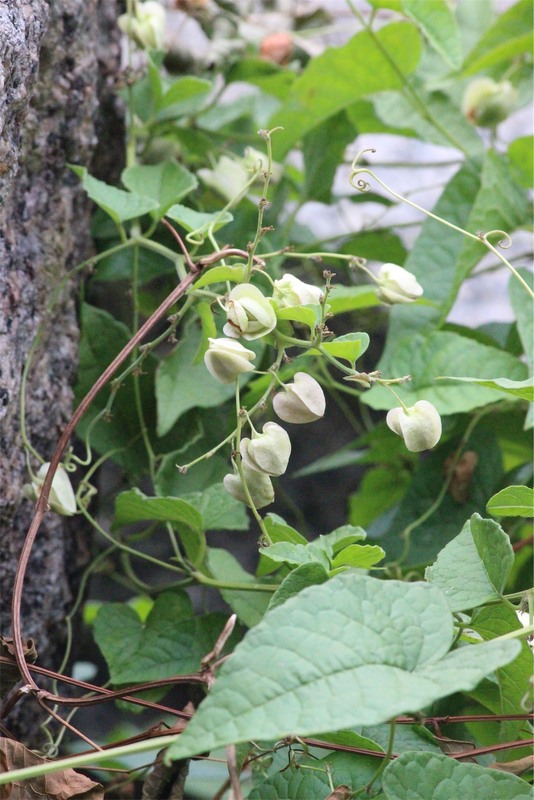 Essentially it’s a rice cake made of mochigome, a short-grain japonica glutinous rice, filled with fresh fruit. 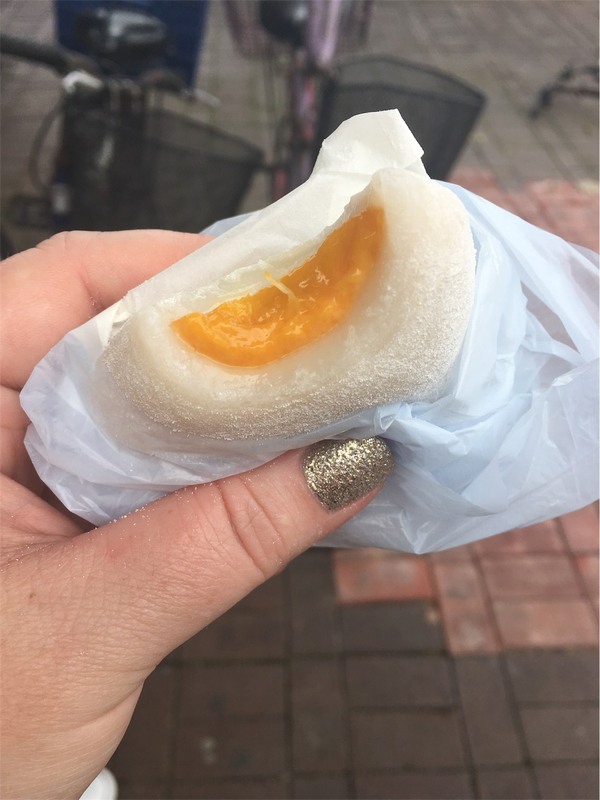 The picture below is a mango mochi. 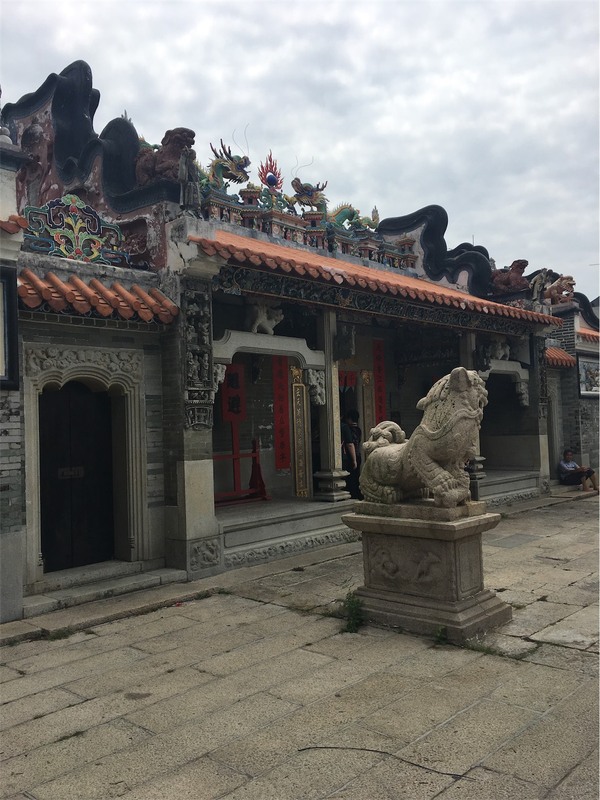 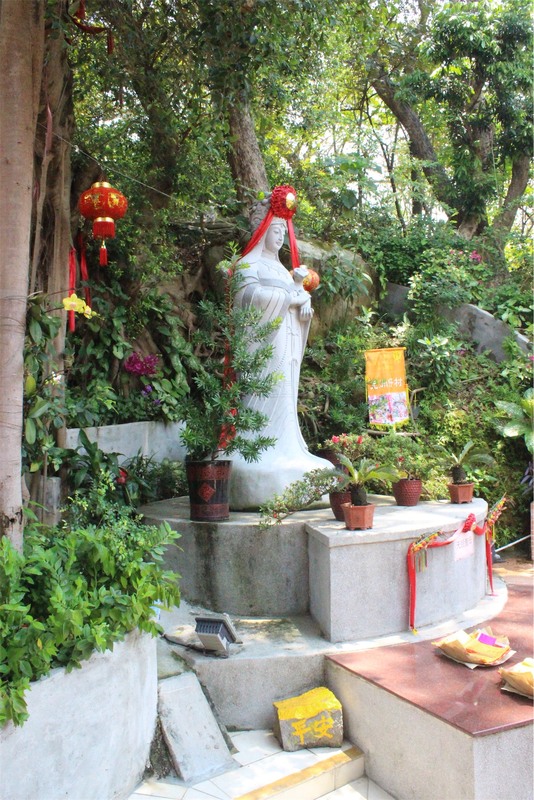 Yuk Hui Temple or commonly known as Pak Tai Temple, is said to have been built about 200 years ago to honour Pak Tai, the Taoist god of the sea. 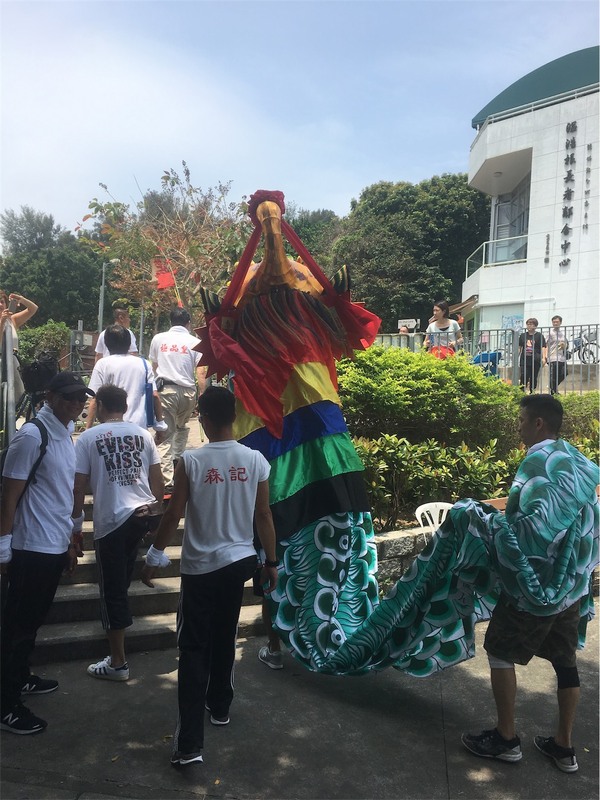 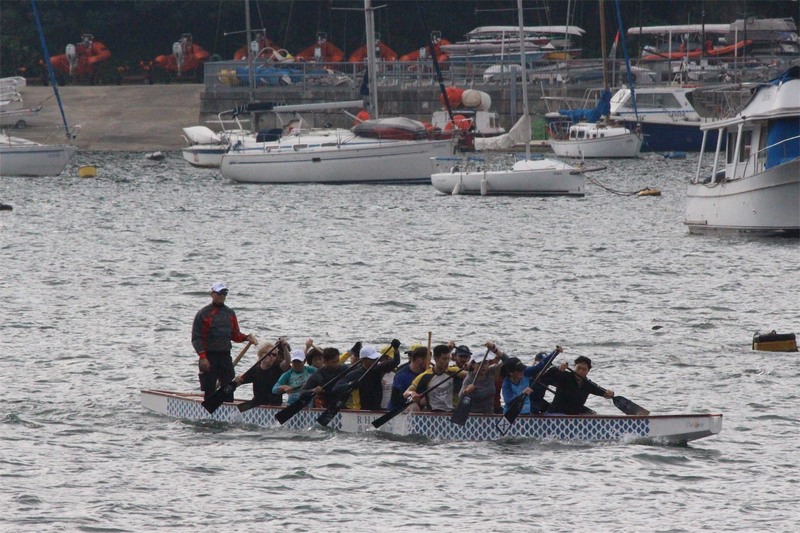 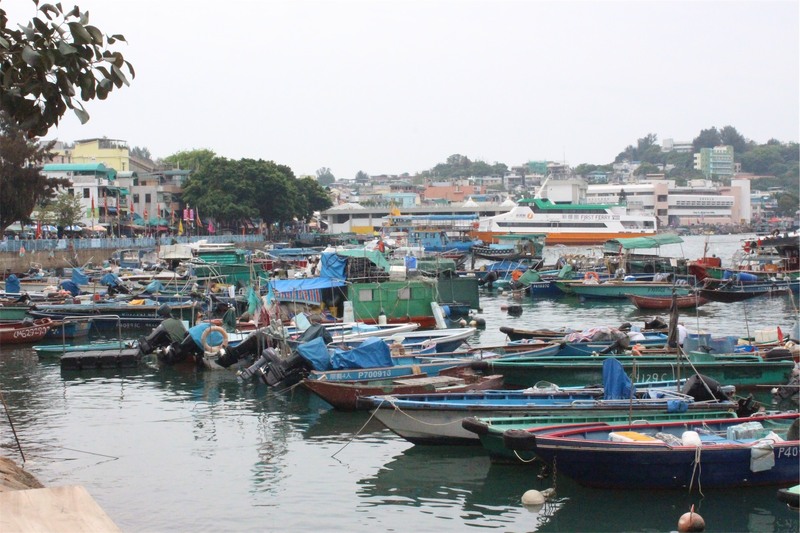 It is also home to the famous Cheung Chau Bun Festival which takes place in May. 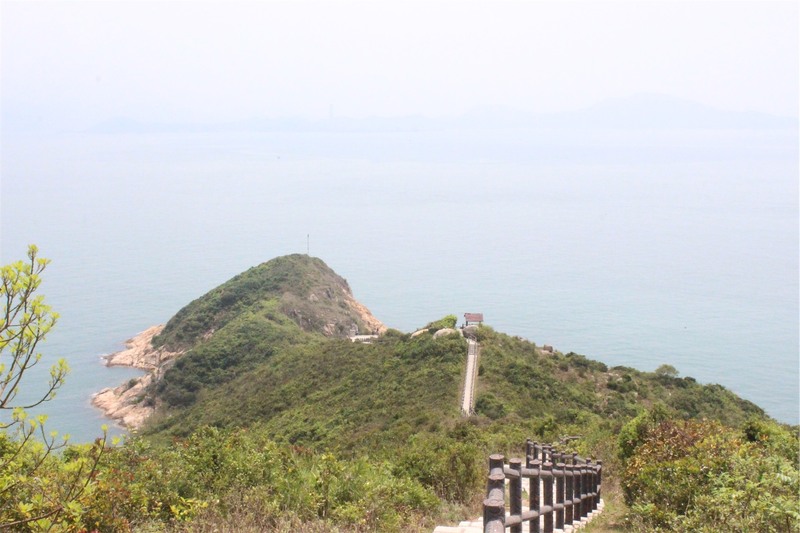 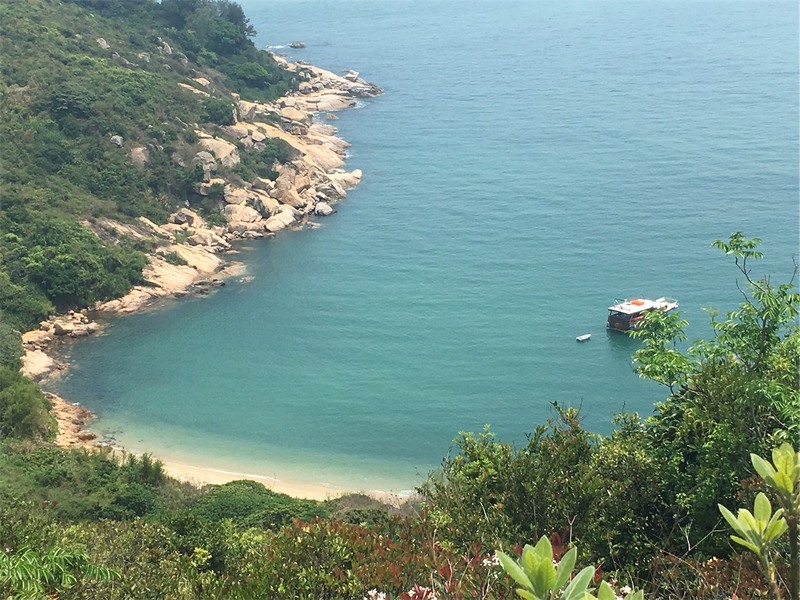 Cheung Chau is a popular spot for hikers and the walk around the island up to the North Lookout Pavilion is spectacular. 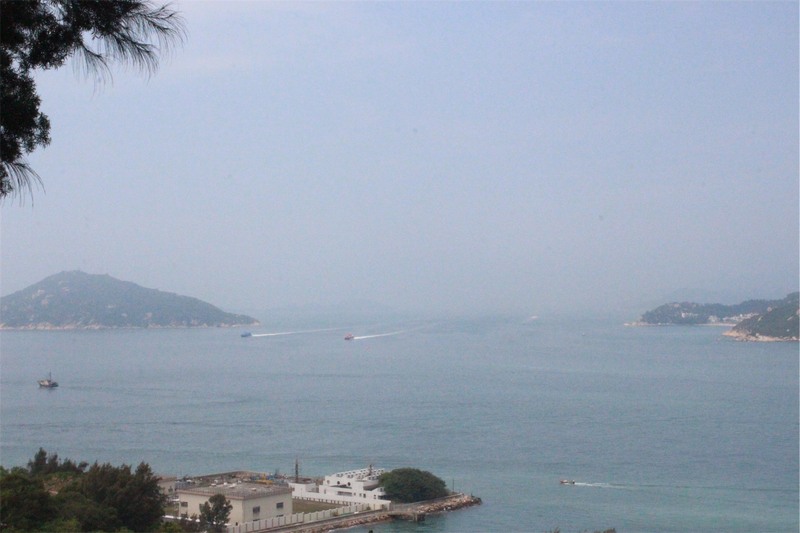 The views across the ocean show other islands and a busy ferry route. 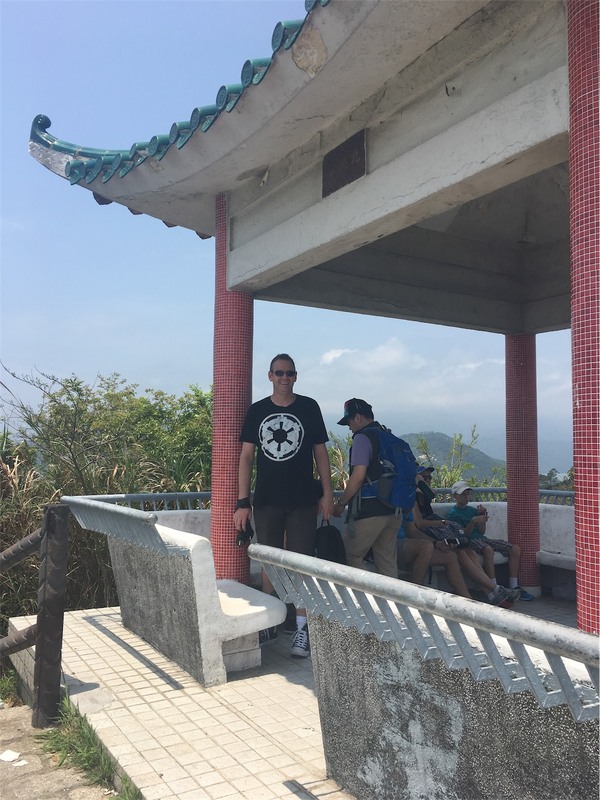 There are no drinking stations, nor small shops along the way, so it’s important to make sure you are well prepared with supplies. 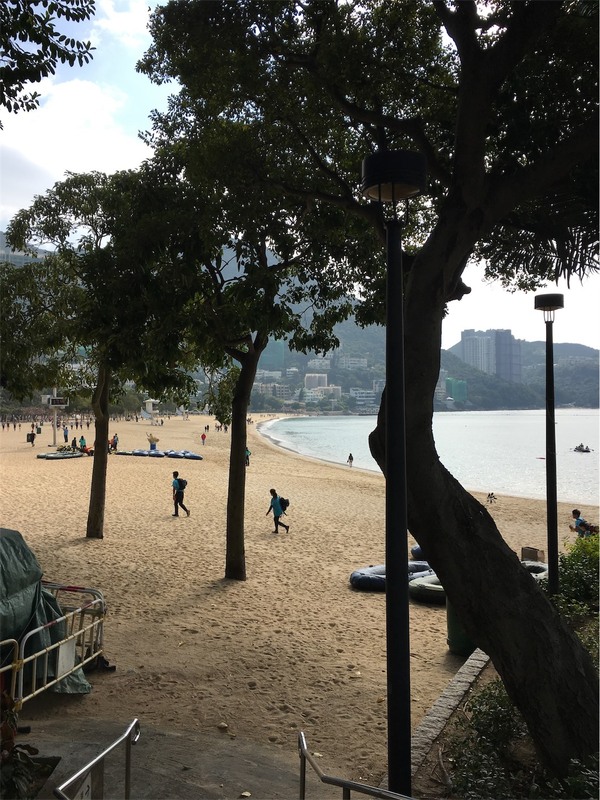 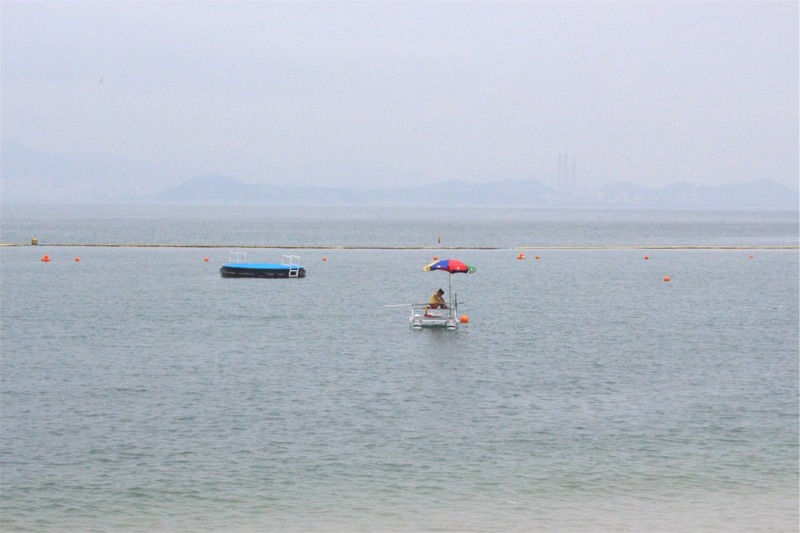 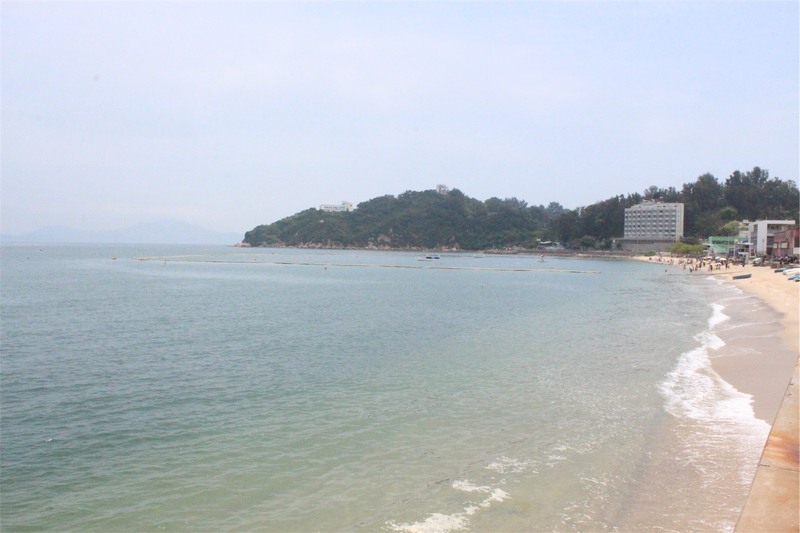 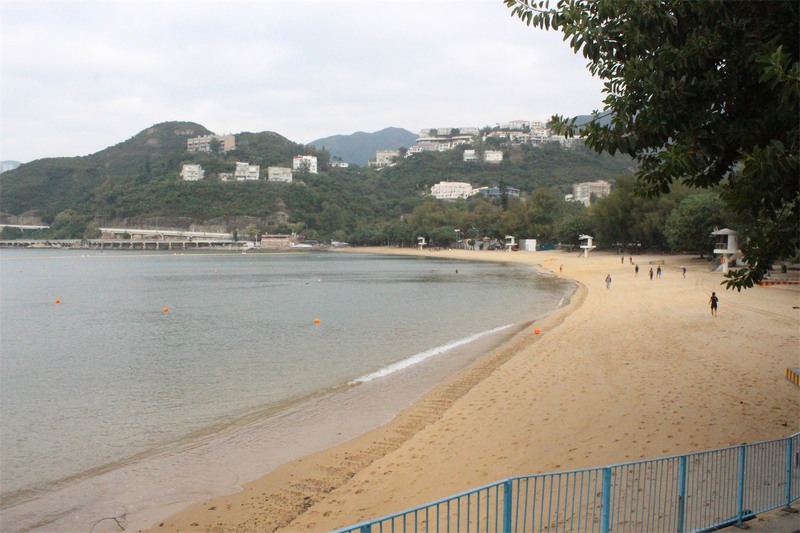 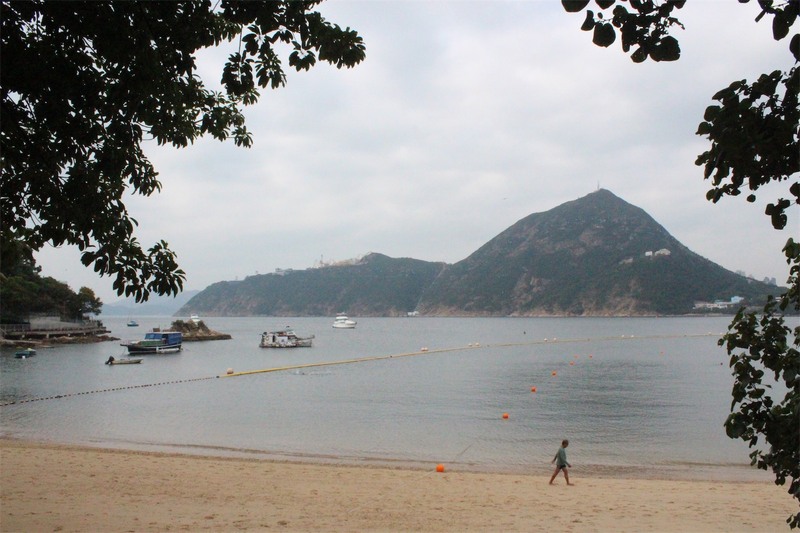 Tung Wan Beach is the most popular spot for a swim, it’s netted and a lifeguard can be seen on duty. 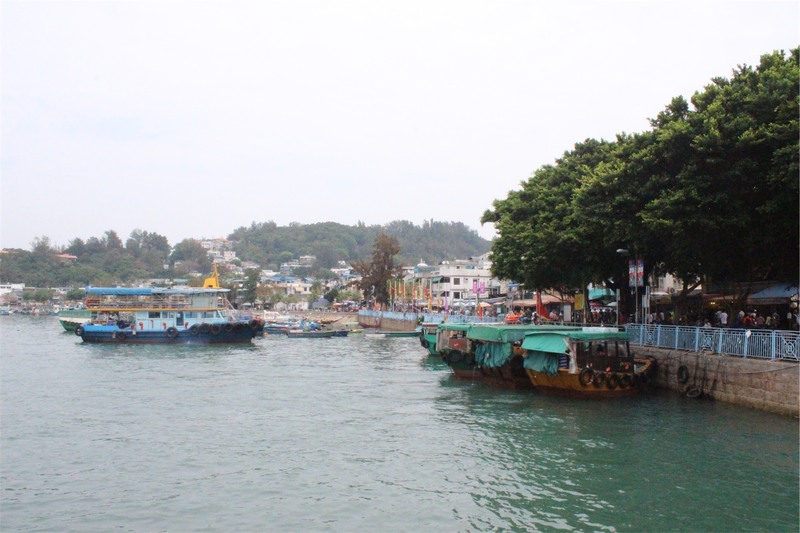 It’s best to enjoy Cheung Chau in the morning because by lunch time the streets are packed! 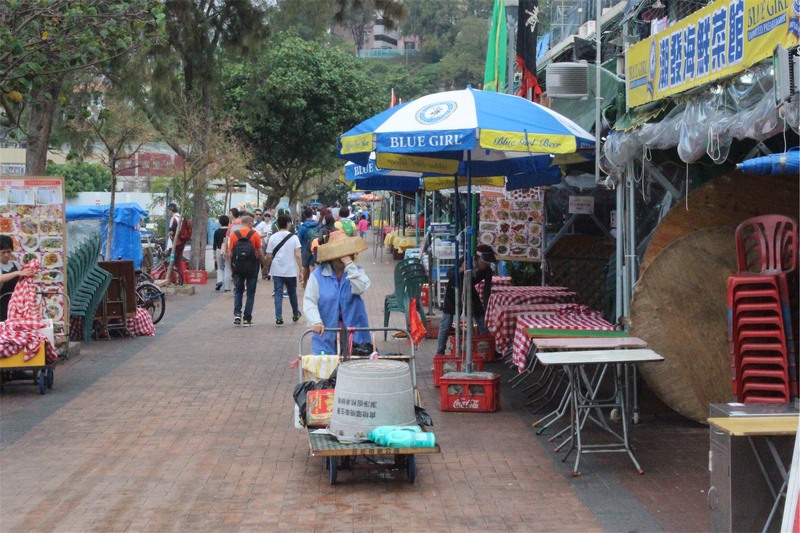 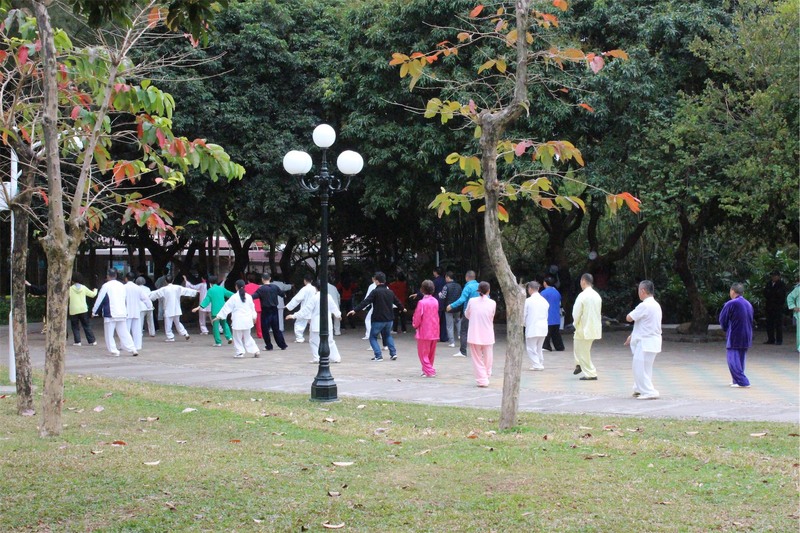 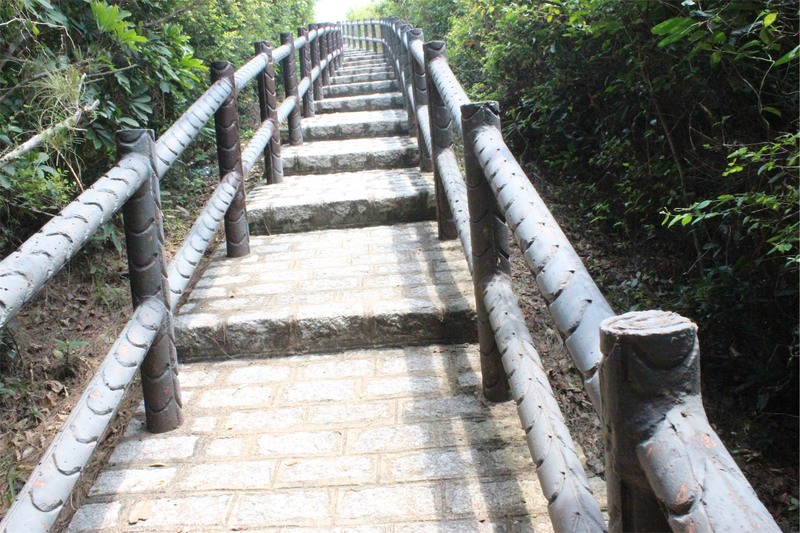 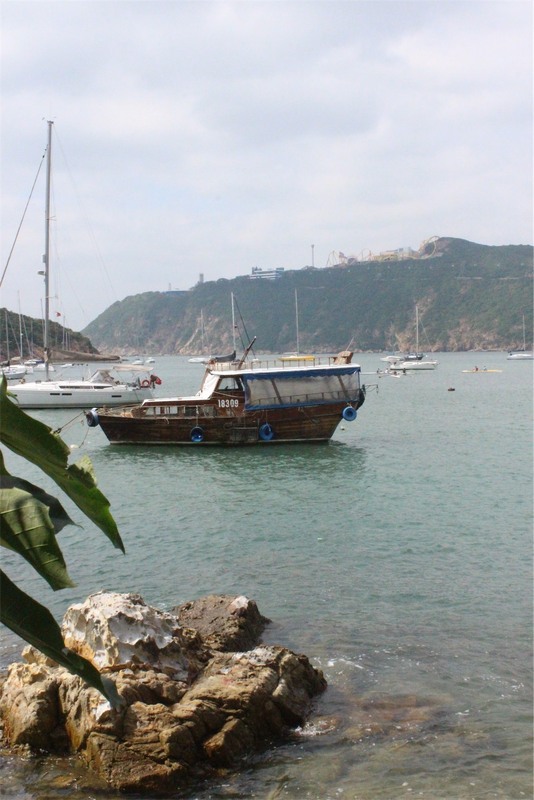 One especially busy area is not far from the ferry pier – a town square on the Cheung Chau Family Walk. 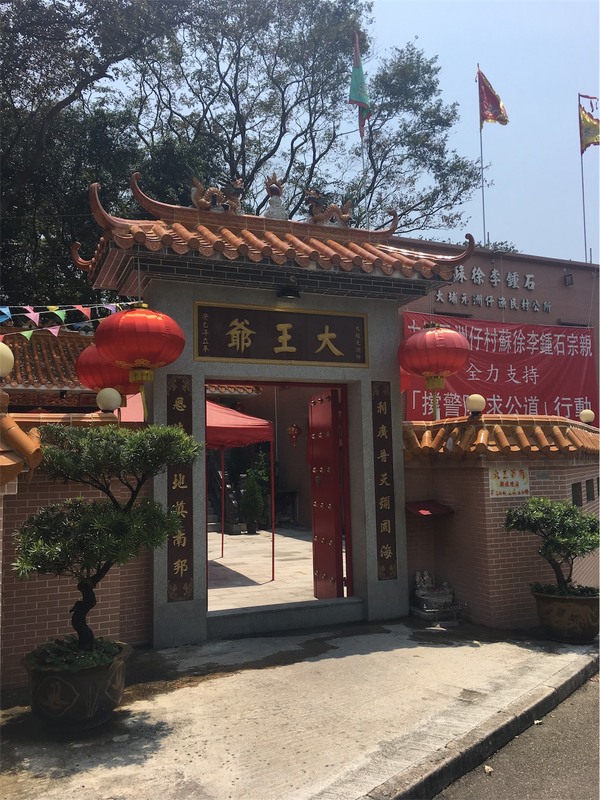 There you will find a long line of people, under the shade of a massive tree, waiting to be served at the Gan Yongtai fishball shop. 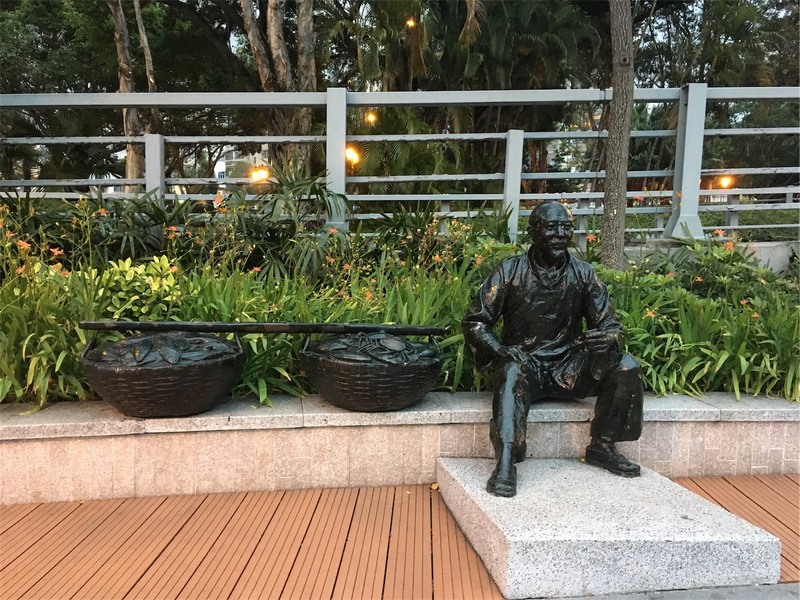 These fishballs are eaten from a stick, while leaning forward and taking care to not drip sauce on your shoes – truly a recommended Hong Kong experience. 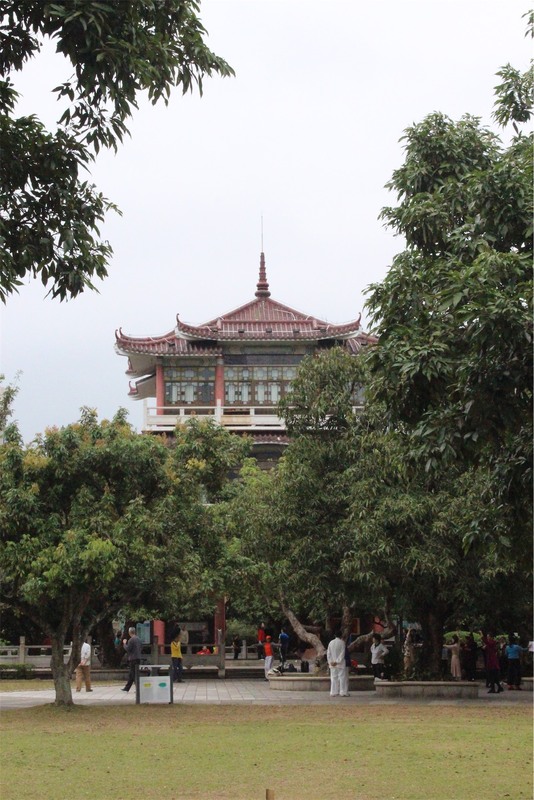 People watching here is almost an art form and you will find many different characters. 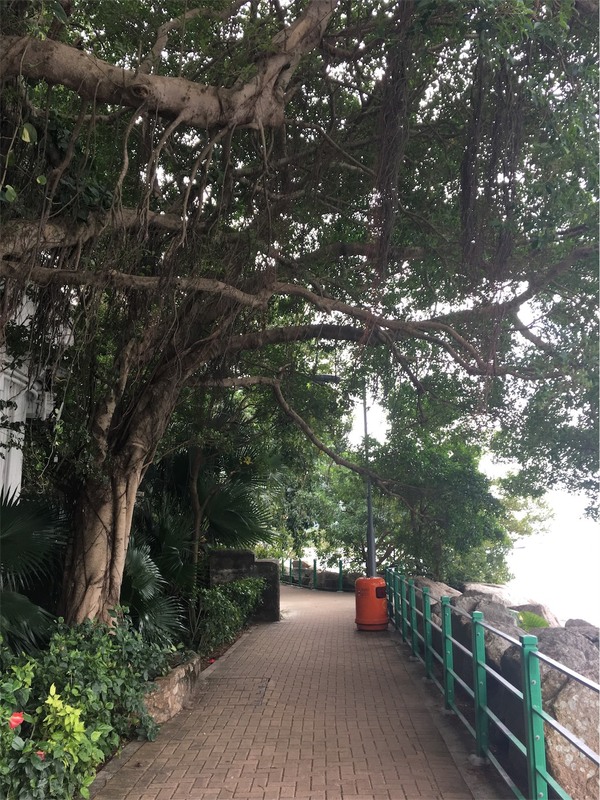 Not far from the square is the Lock of Love on Tung Wan Rd. 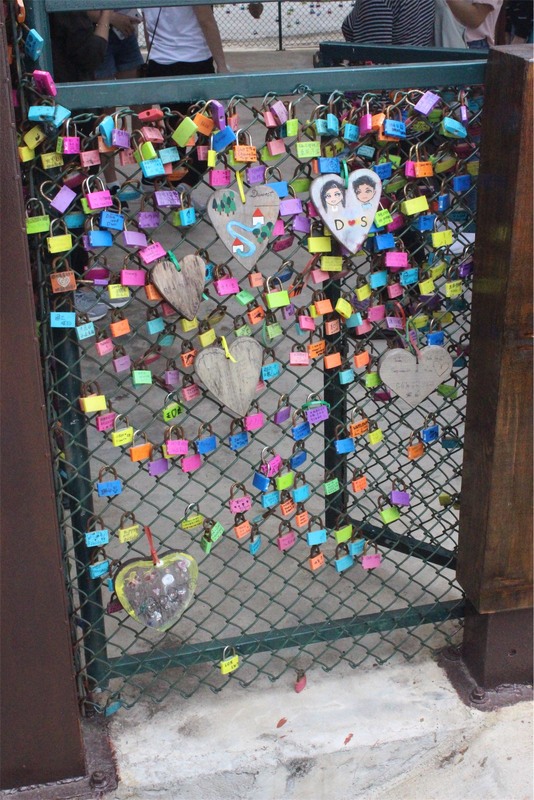 It is a wooden house with an iron fence which allows lovers to hang locks with wishes written on them. 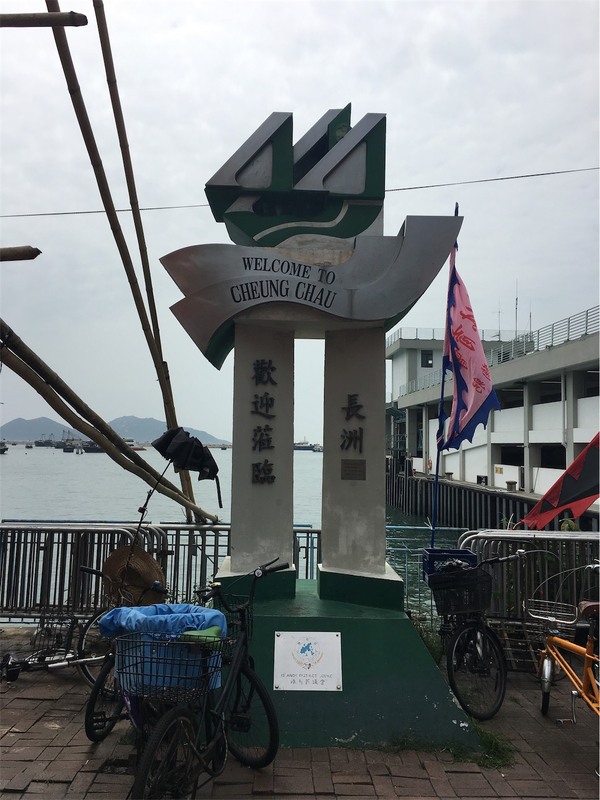 Cheung Chau is a lovely island well worth the day trip, just keep an eye on the weather forecast as ferries can be cancelled from time to time in inclement weather. 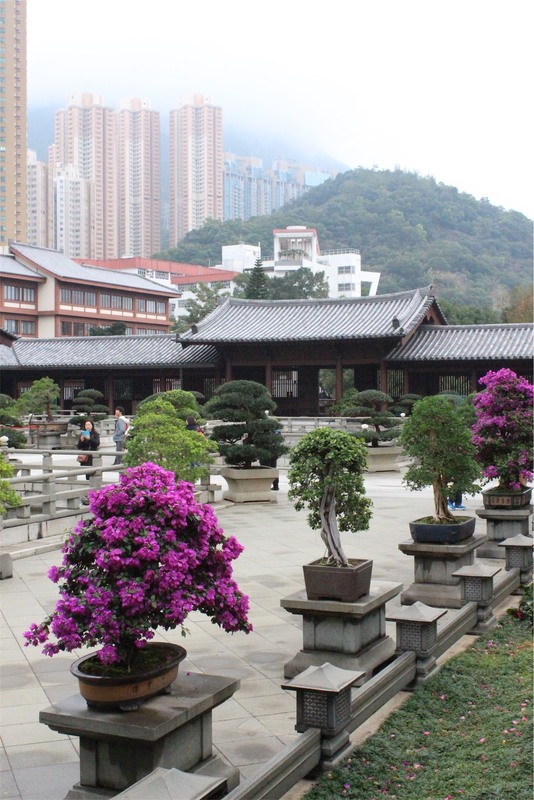 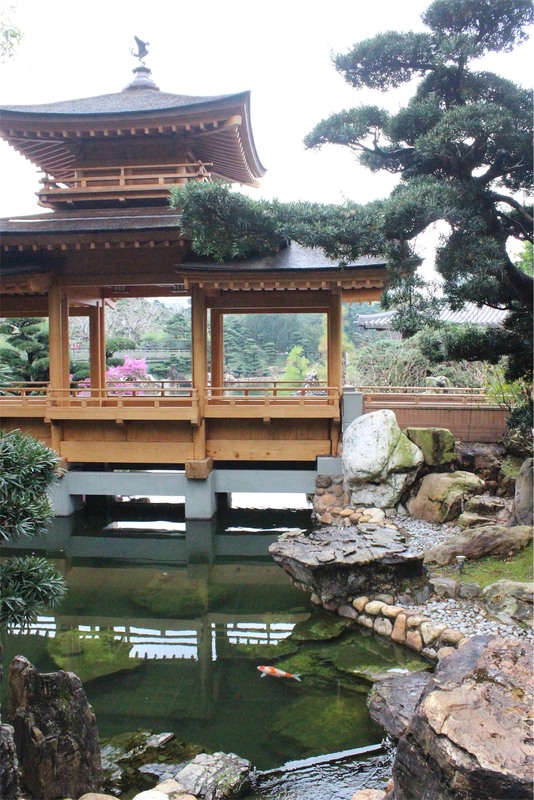 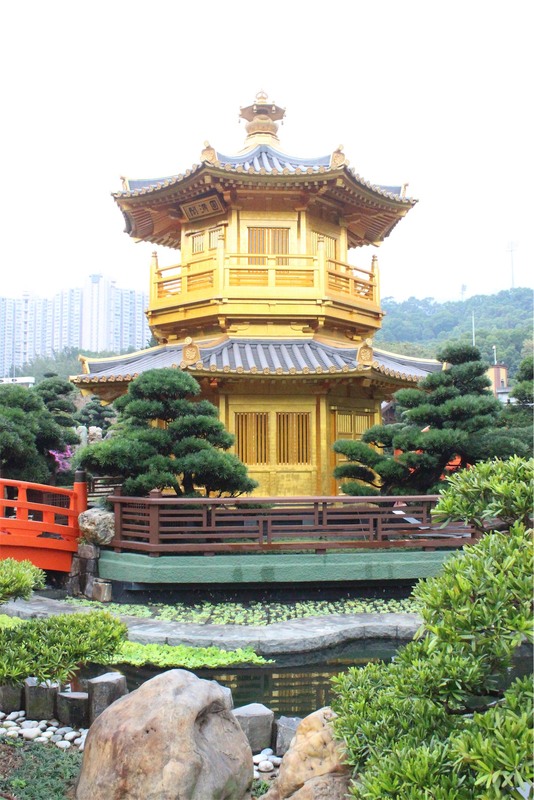 The Chi Lin Nunnery and Nan Lian Gardens are easily accessible from both Kowloon and Hong Kong Island by MTR. 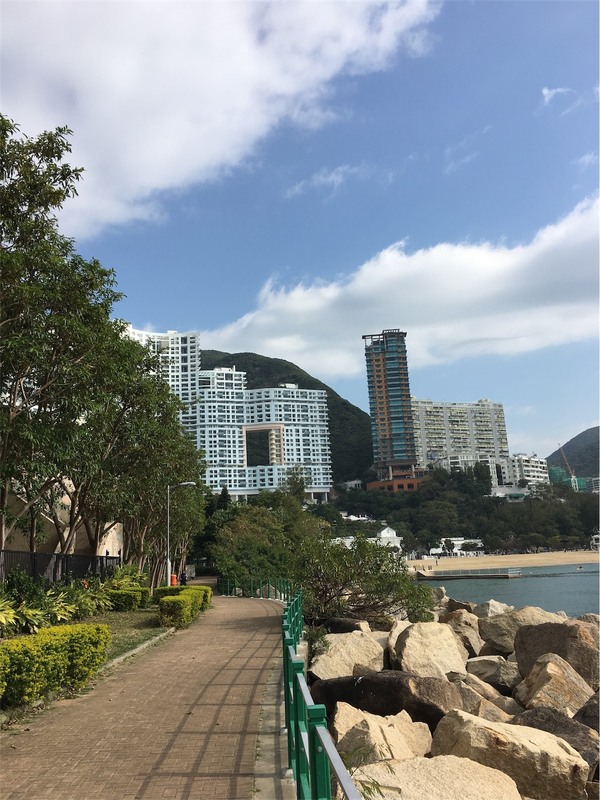 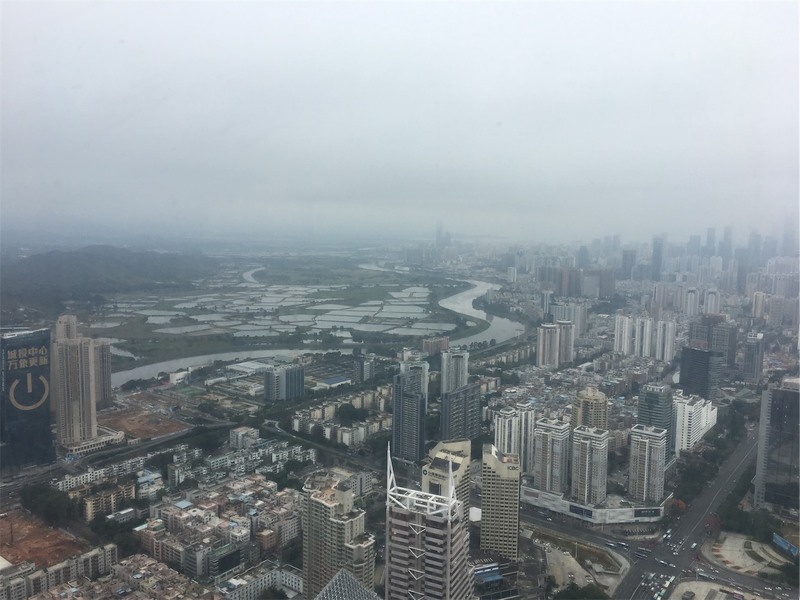 Both are only an 8-10 minute walk from the Diamond Hill Station. 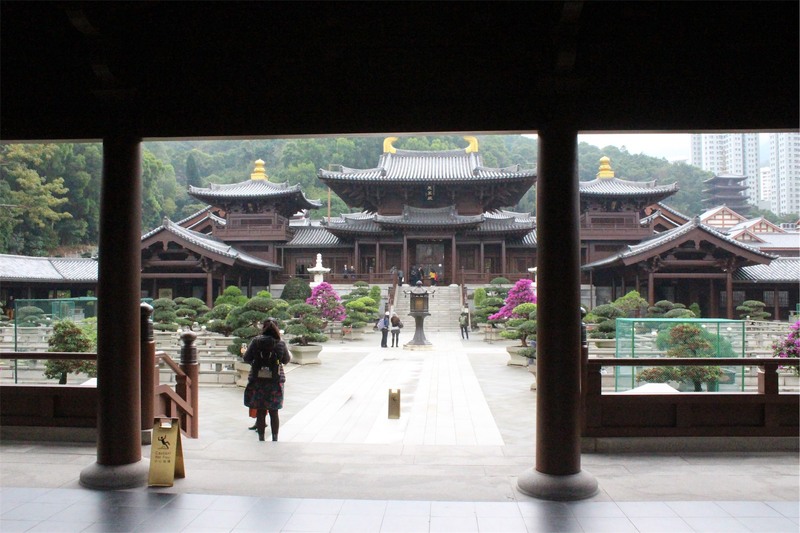 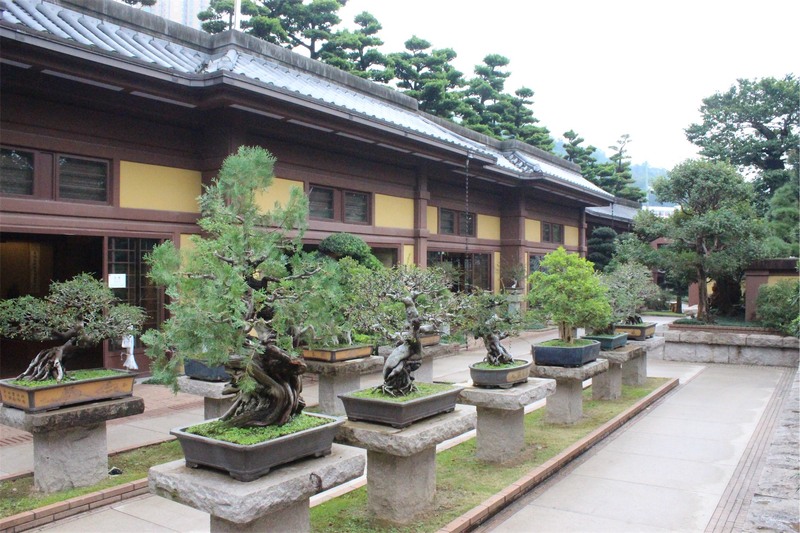 Chi Lin Nunnery is a large buddhist temple constructed using traditional architecture entirely with cypress wood, without the use of any nails, and is currently the world’s largest hand-made wooden building. 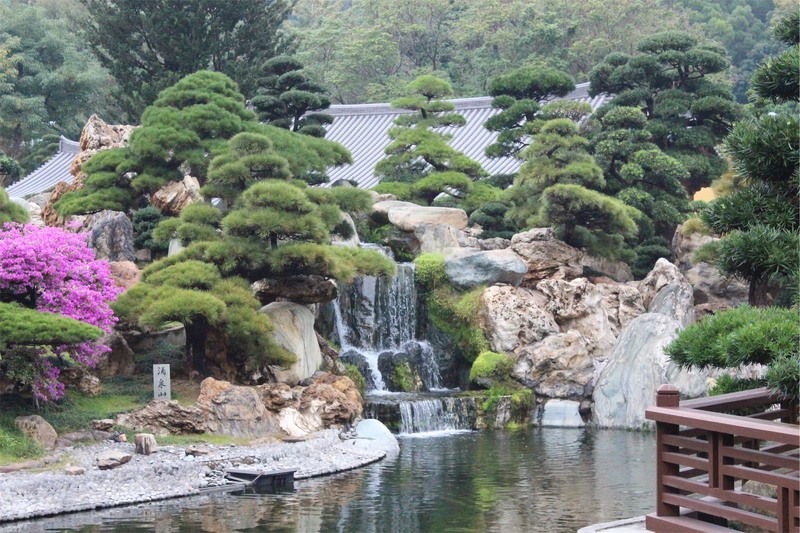 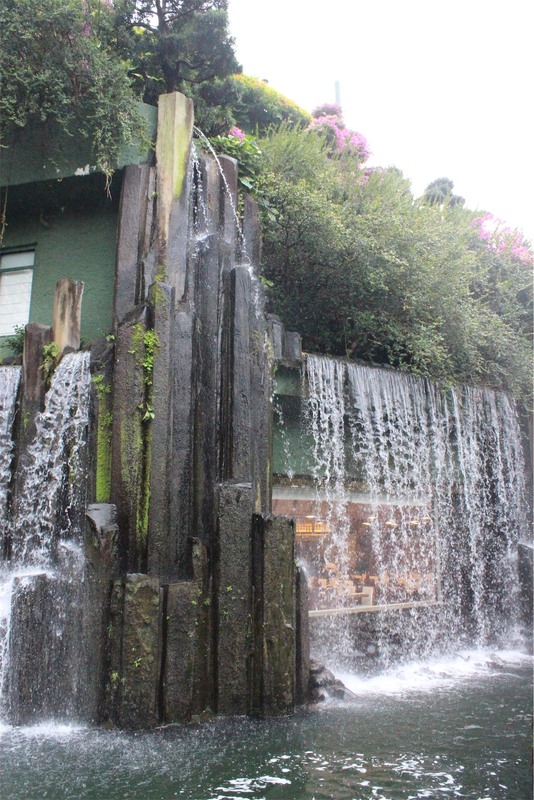 The surrounding sculptured gardens, ponds and large bonsai are incredible, it’s a beautiful location with the skyscrapers of this busy city creating a surreal backdrop. 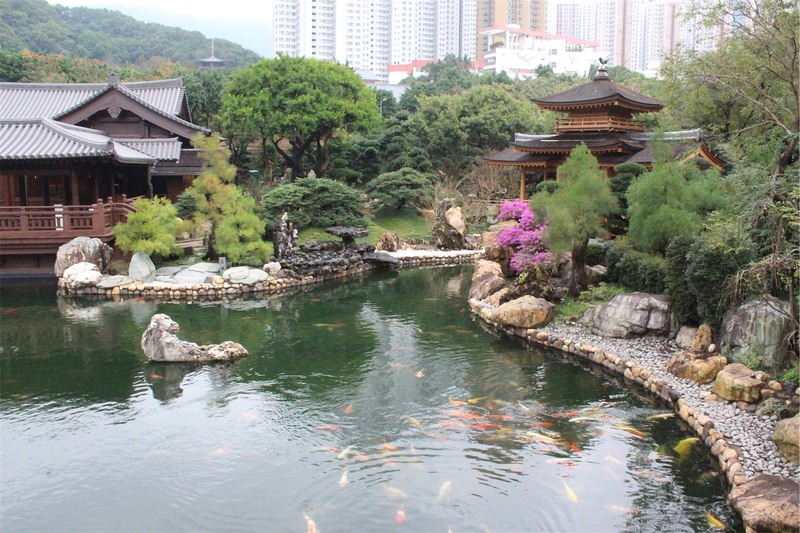 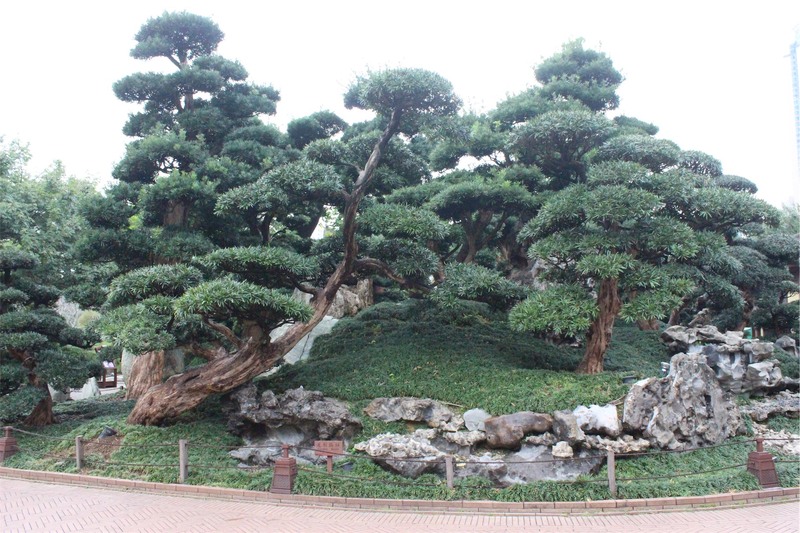 Nan Lian Gardens is located opposite Chi Lin Nunnery and is a scenic garden covering an area of 35,000 square metres. 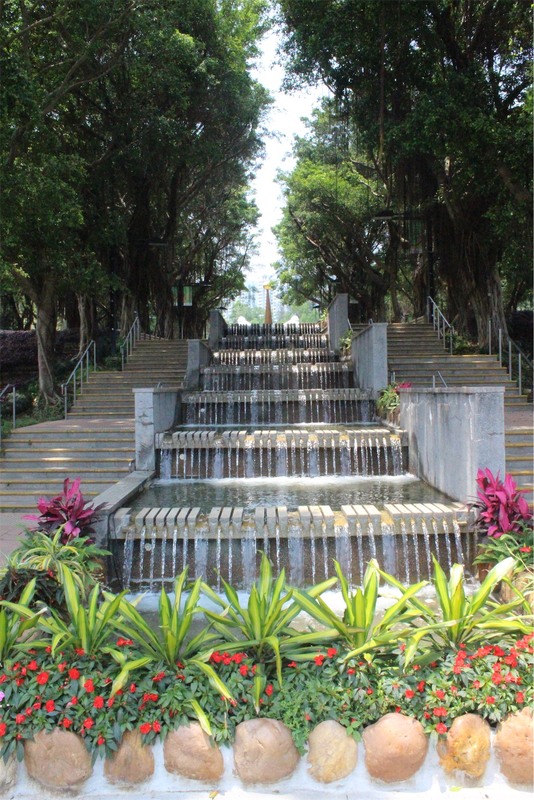 To say the gardens are spectacular is an understatement as they are so well maintained and incredibly beautiful. 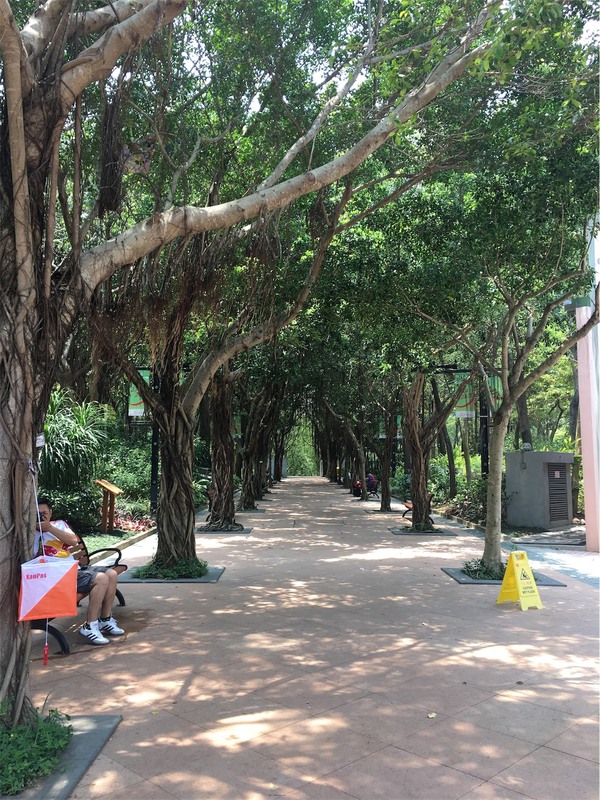 Whilst there is a restaurant on premises, there is a lovely tree-lined area with tables and chairs where you can enjoy a packed lunch if you wish. 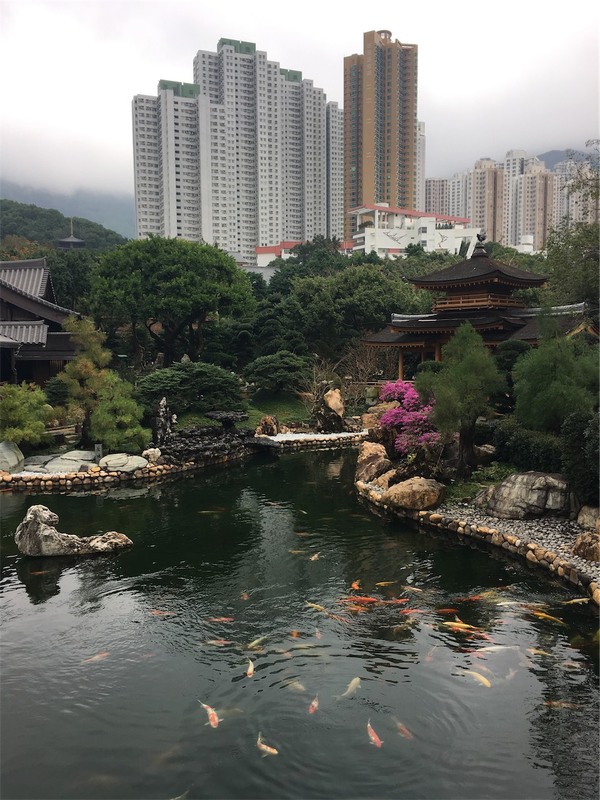 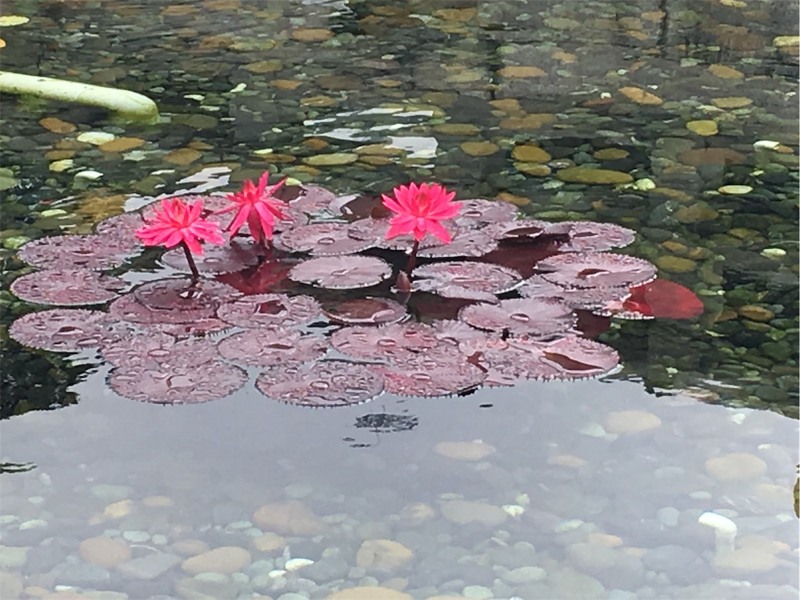 Free admission into the spectacular Chi Lin Nunnery and Nan Lian Gardens, they really are a must see whilst in Hong Kong. 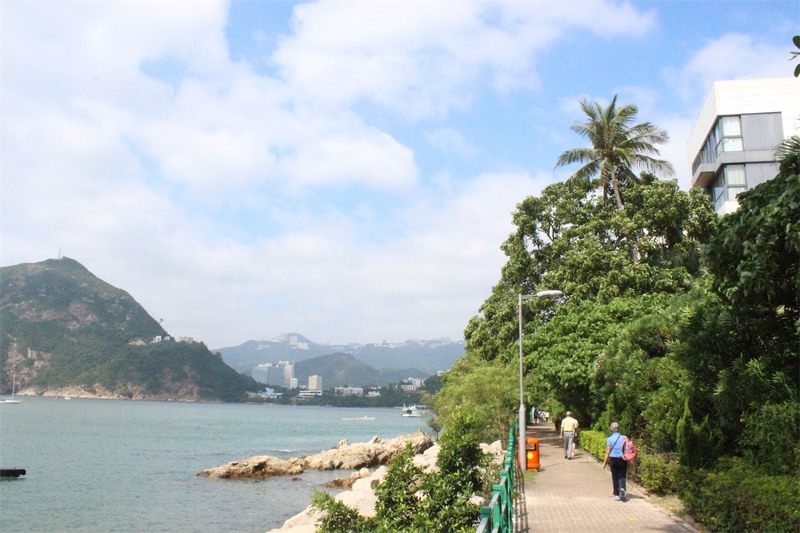 Aberdeen is located on the South West side of Hong Kong Island. 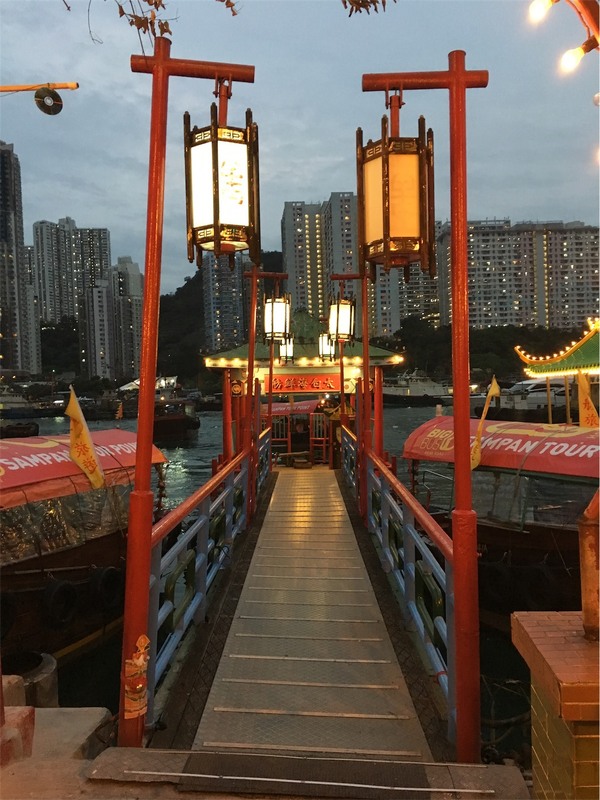 Famous for its boat village and floating seafood restaurants located in the Harbour, it is perfect to spend a few hours walking around. 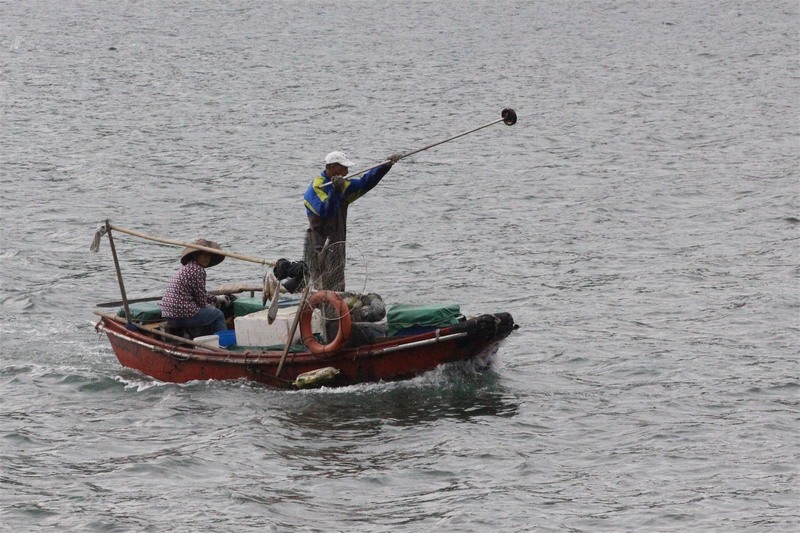 The Tanka people, who used to live on boats in the Aberdeen Harbour, are generally associated with the fishing industry. 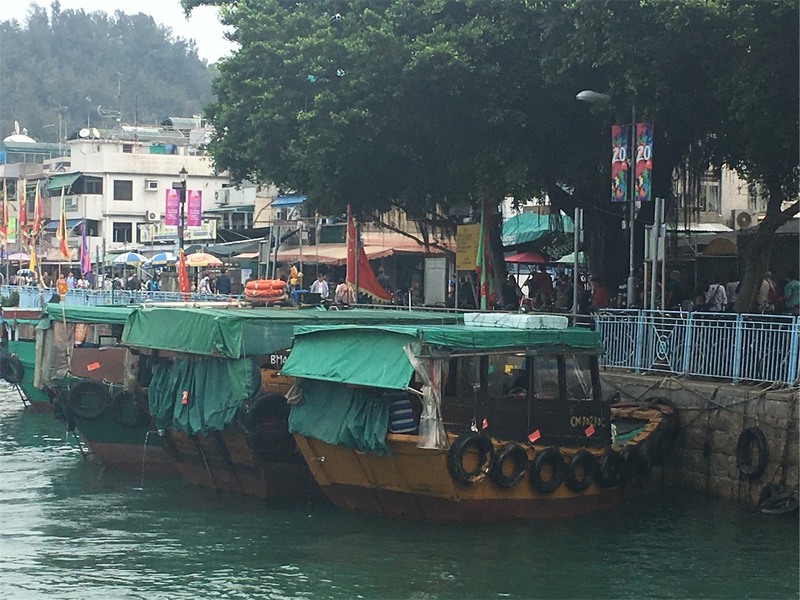 In fact, there are still several dozens of them living on boats in the harbour. 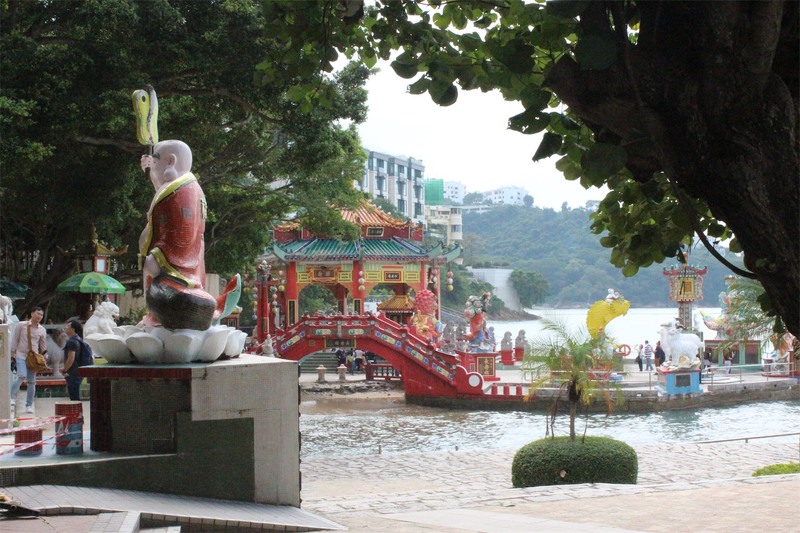 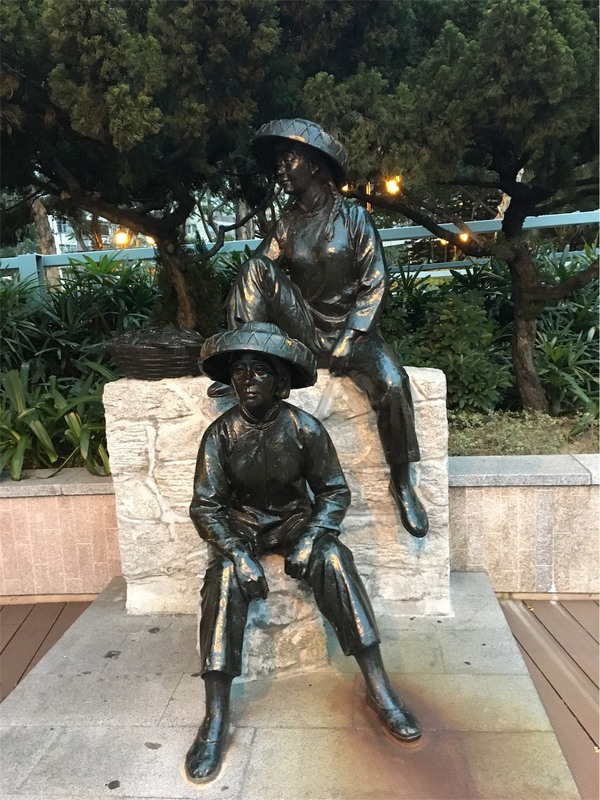 The foreshore is a hub of activity with many statues and monuments dedicated to the lifestyle of the local people. 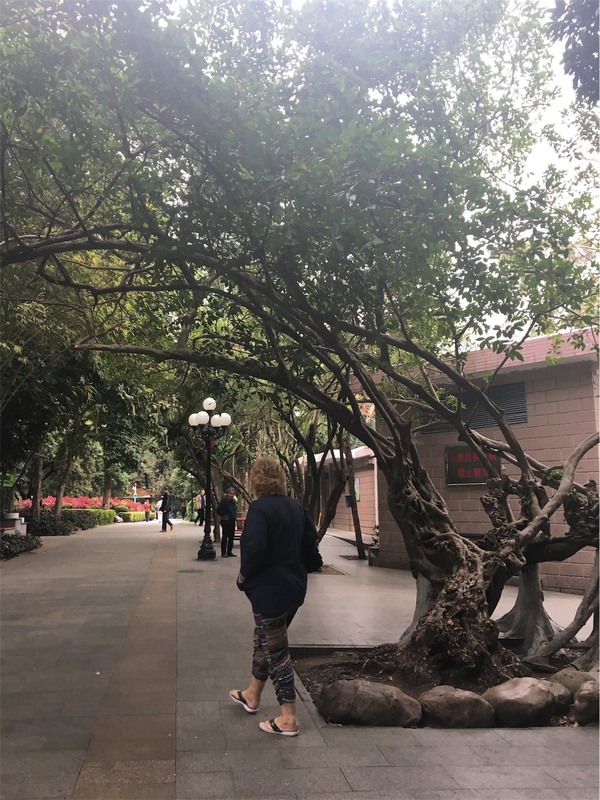 The walk is only a short one, but a great way to glimpse their past lives under the shadow of the skyscrapers of modern life. 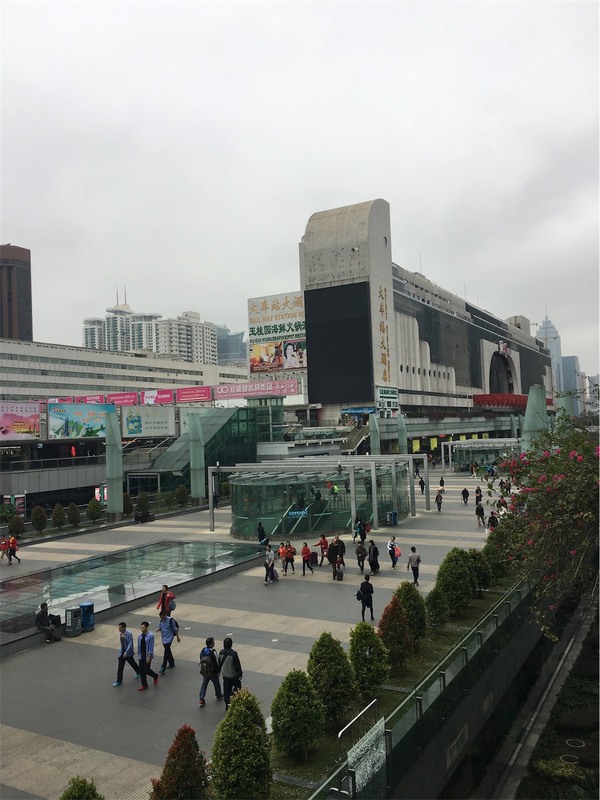 The city itself is only small, but bustling. 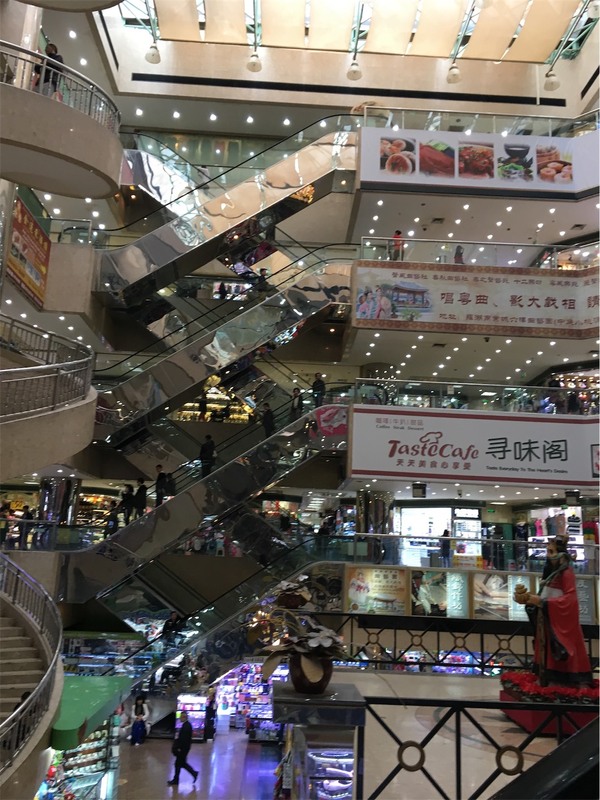 There are many shops and malls under the high-rise apartment building. 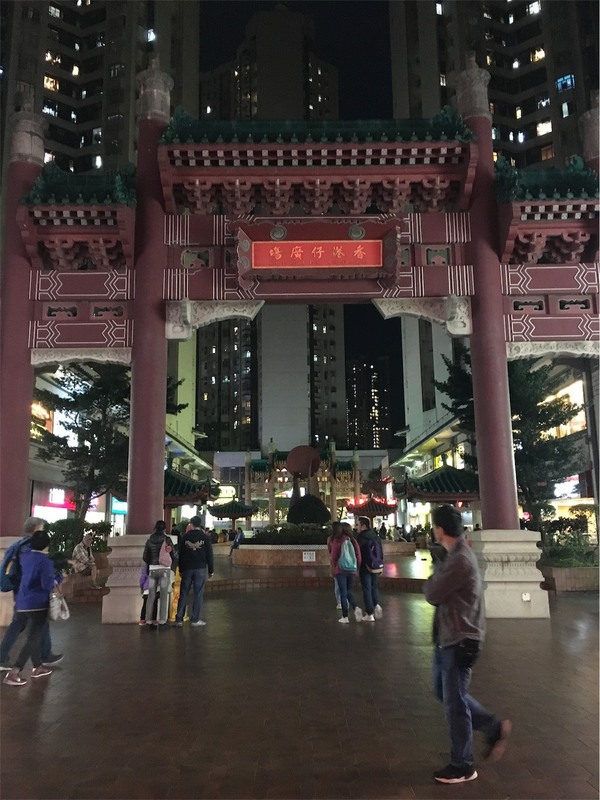 Below is the entrance to Aberdeen Square in Aberdeen Centre. 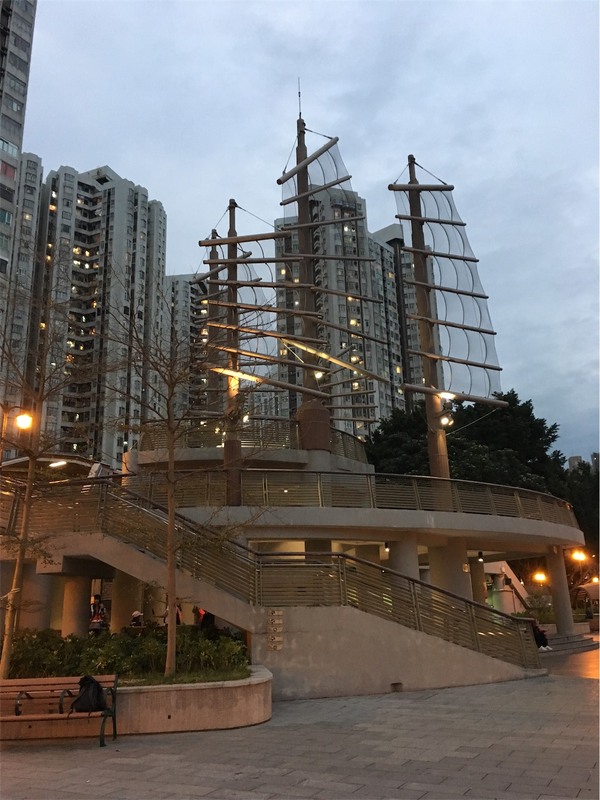 Although probably not a day trip in itself, Aberdeen is a great place to look around just on sunset to take in a different side of Hong Kong.